Welcome to the Justøy family! 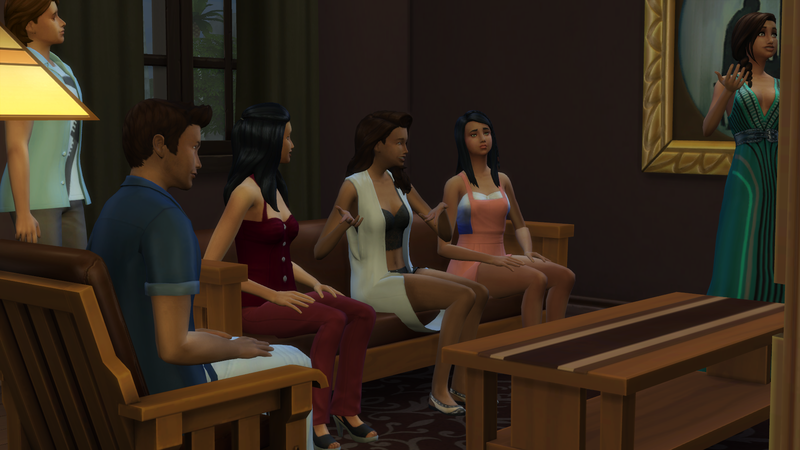 They are a branch of my original TS4 legacy, the Selnes family. I decided to make a separate rotation for this particular family because I've come to enjoy them so much. 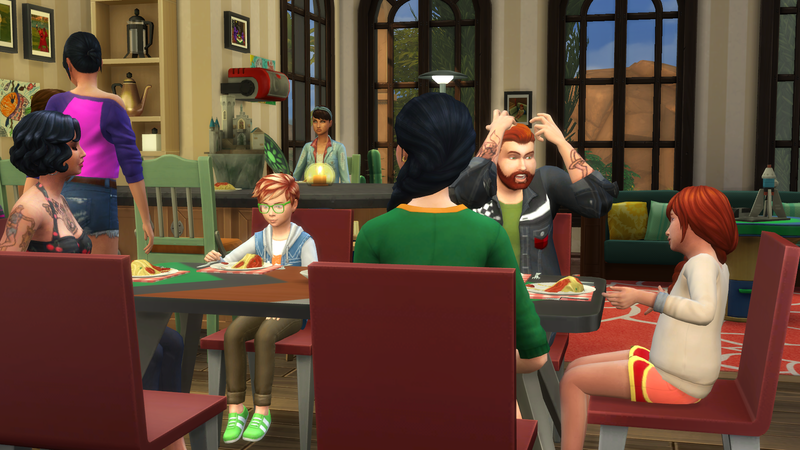 I adore all their children and I want to keep up with at least three of them when they grow up and move out. And that's already happening! 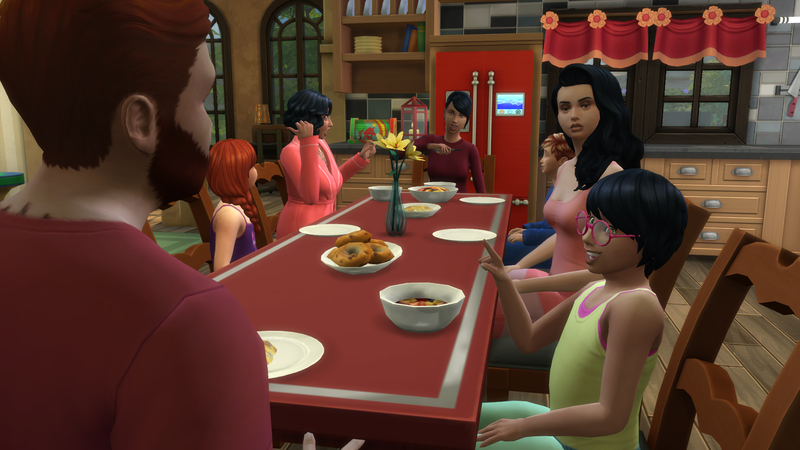 The current household in the Justøy branch is a father, mother and their five children. I'll introduce them all to you in the next few posts. If you want to read their story more in depth, you will find it in the link above. After a rough childhood and traumatic youth, Vetle Justøy moved to Windeburg Island as a orphaned teen. 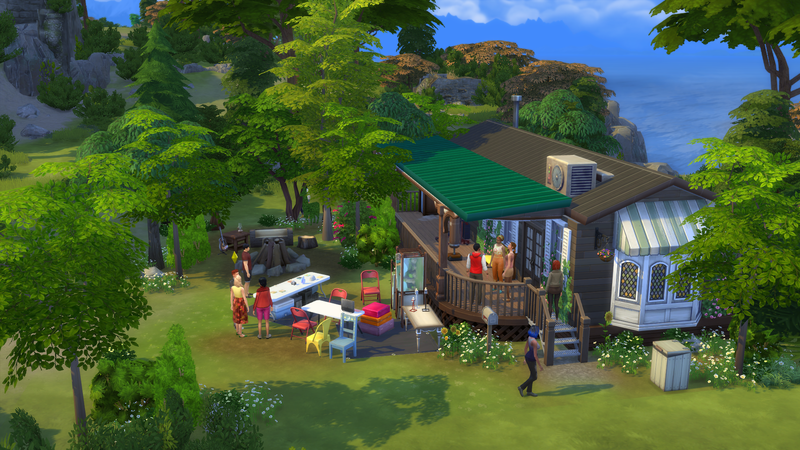 He lived in a small cabin and made a living by selling stolen goods. He kept doing that into his young adult years, and built up quite a sketchy business. For a long time, he was a feared hermit on the island. 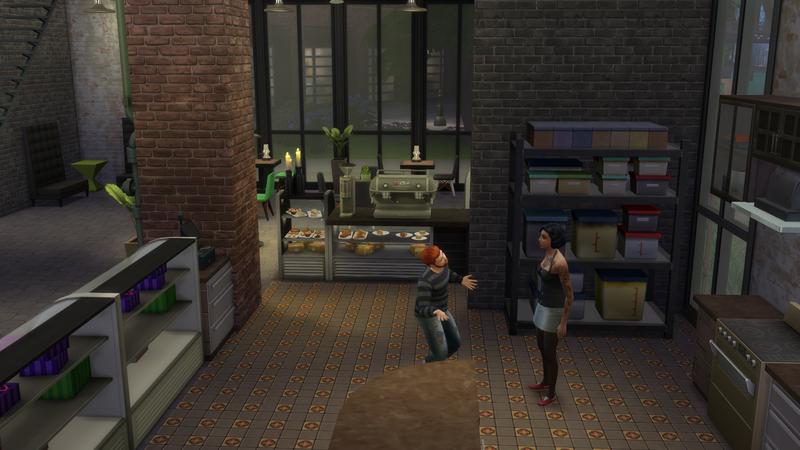 But then he met Mariana Montgomery, for whom he was willing to change his life around. 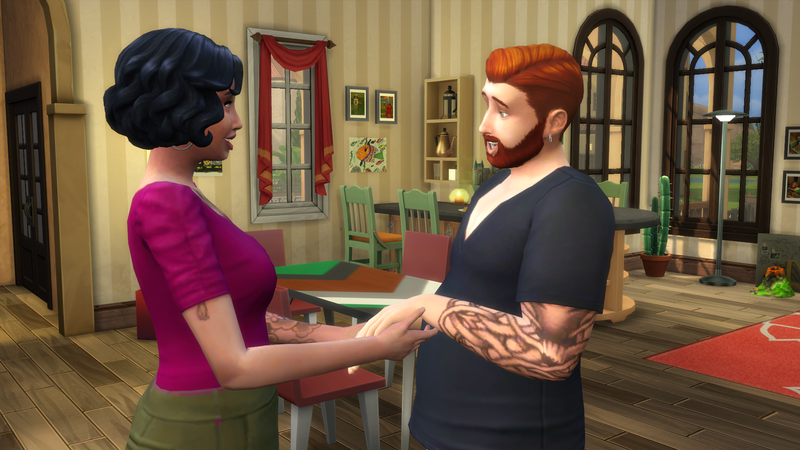 It took a lot of time before she trusted him enough to start building a future with him, but she ultimately agreed to marry him. Their marriage wasn't all sunshine and roses, and there was a time when it looked like they would separate. But a turn for the better came when Vetle renovated his old warehouse for stolen goods into a café for Mariana to run a business in. 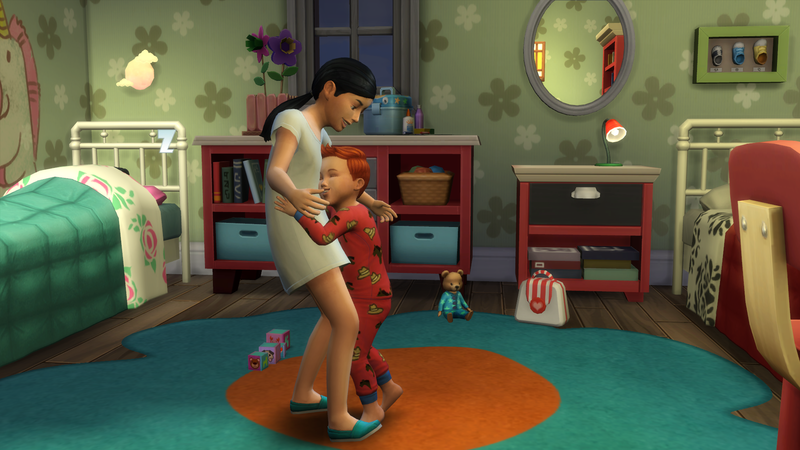 Now they are adults going on elders and are more attached to each other than ever. 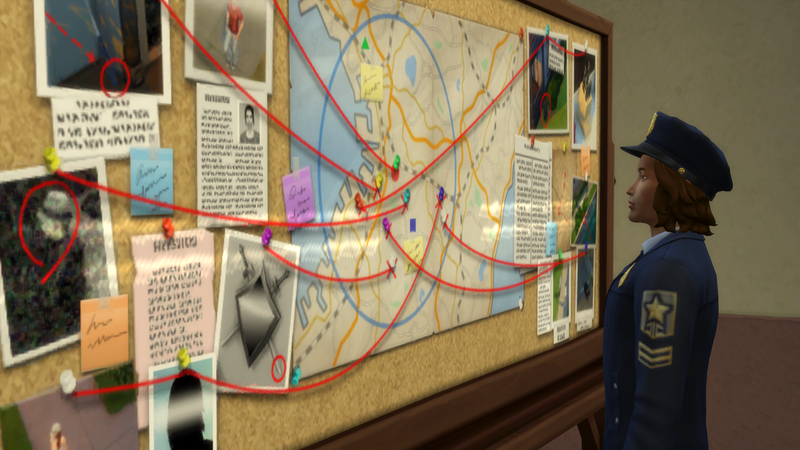 Vetle still does criminal work from time to time, but with little risk. Nowadays, family comes first. Vetle is hot-headed, kleptomaniac and outgoing. 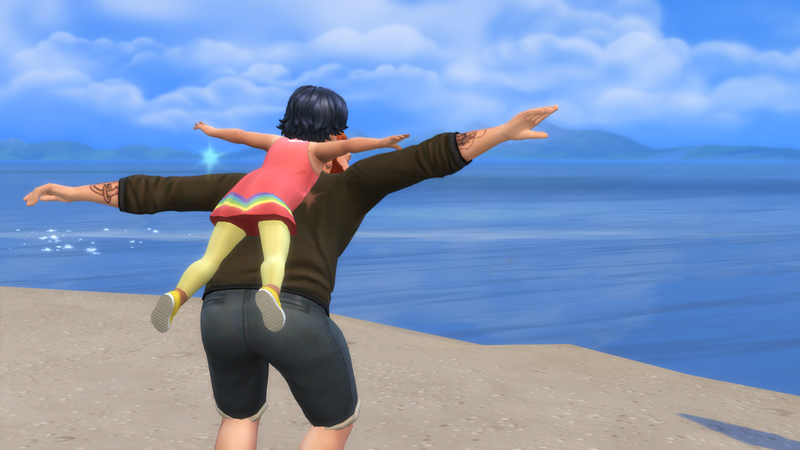 He currently has the Super Parent aspiration. Mariana is childish, genius and good. 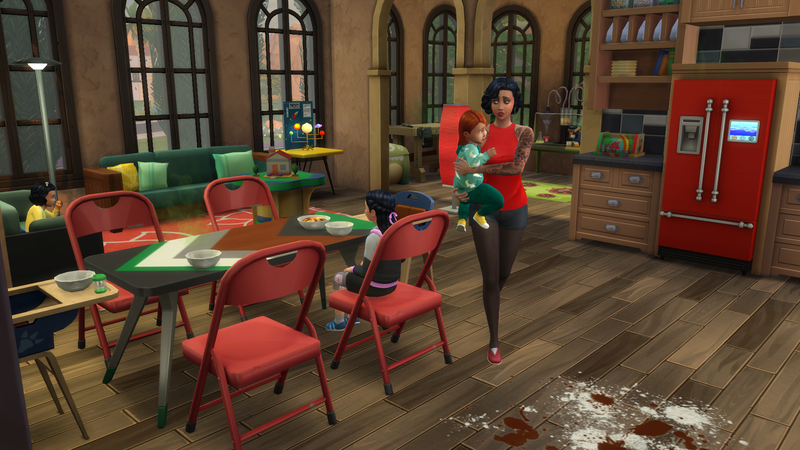 She currently has the Big Happy Family aspiration. They have both almost completed these aspirations. 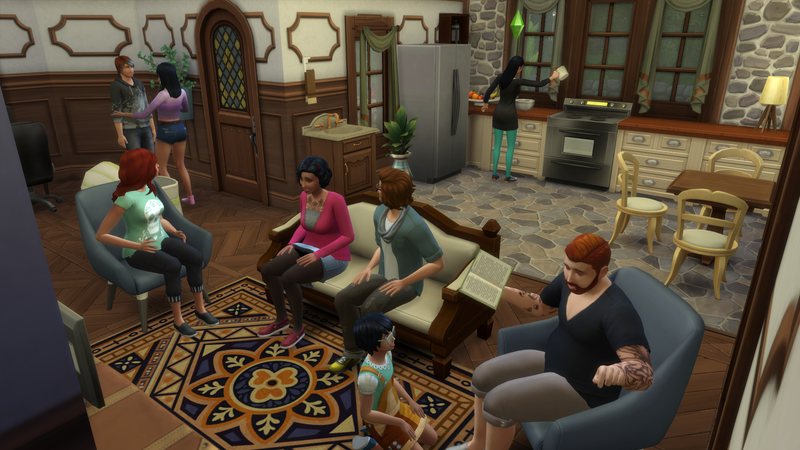 My lovely Sims 4 family through 12 generations. 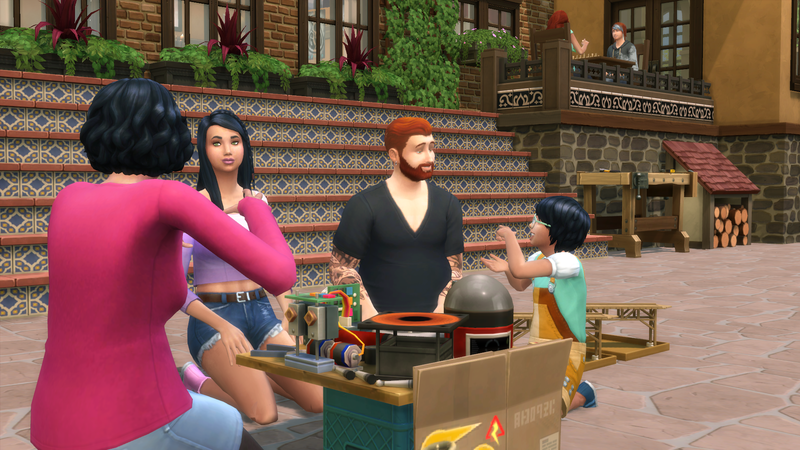 Vetle and Mariana live in Oasis Springs with their five children. 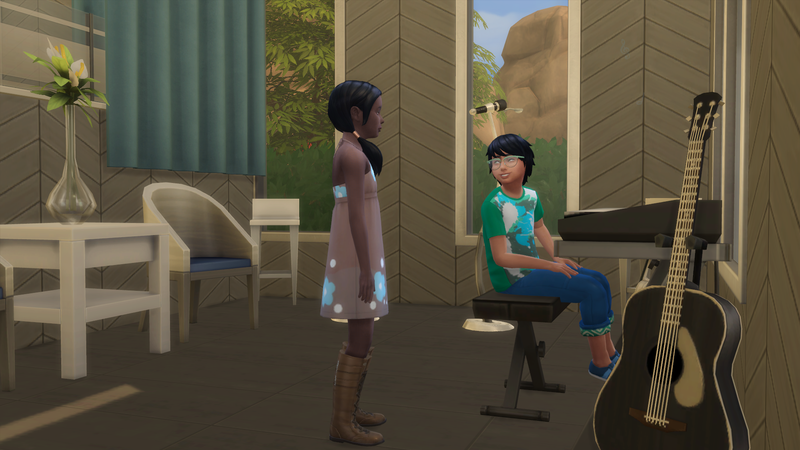 Their first child, Ronja, was born while they still lived on the island in Mariana's family's home. She was a happy little explorer who enjoyed spending time outside. 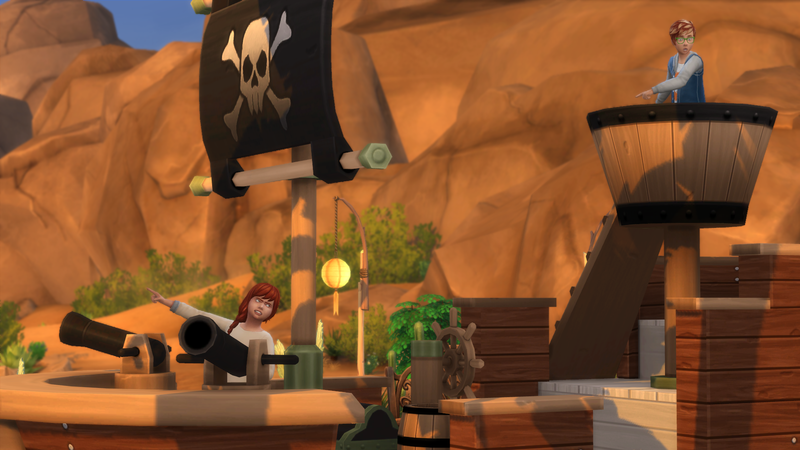 After they moved to Oasis Springs, she went through some difficult phases that were quite a challenge for her parents. But she eventually became a very responsible and caring big sister. 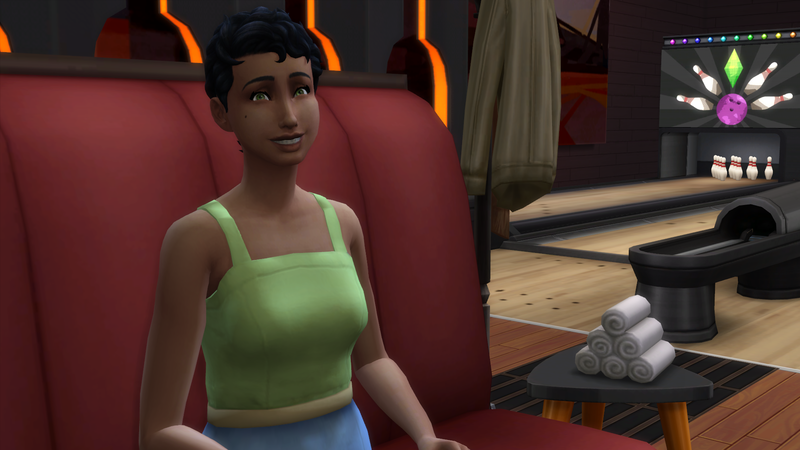 Now she's about to become a young adult, an active and sporty woman with lots of friends and a boyfriend called Nile. He's standing in the middle behind her in this picture. 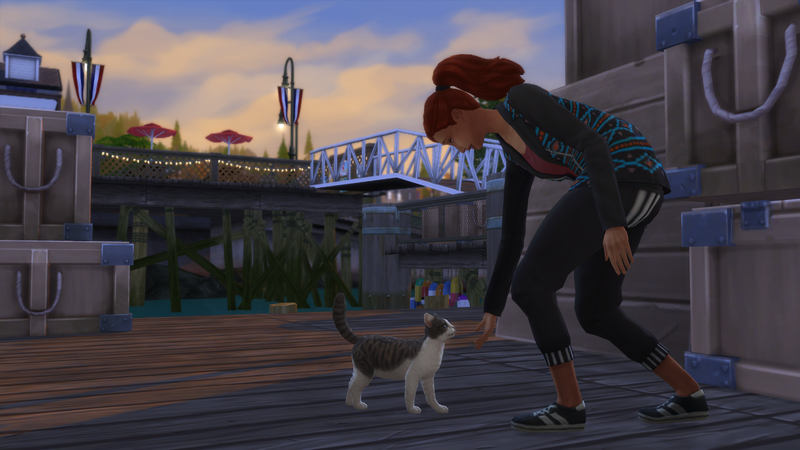 Ronja's traits are music lover and unflirty, and her current aspiration is Bodybuilder. 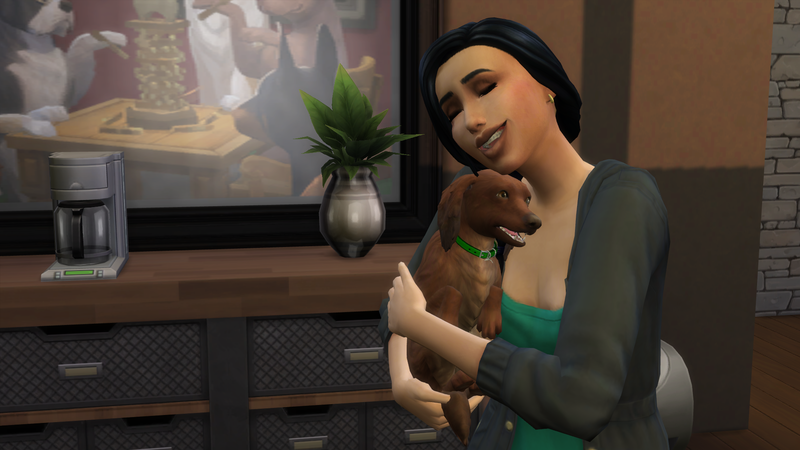 While she was still a toddler, Ronja got a little sister: Maria. They played nicely together most of the time, but Maria was often a grumpy little child. 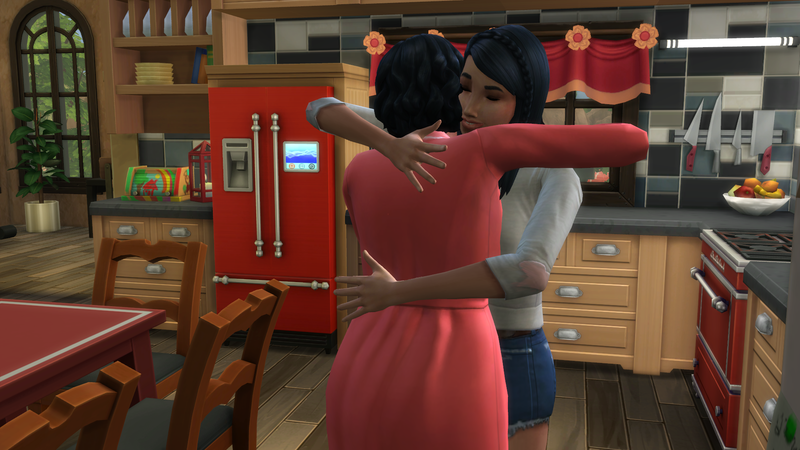 As she grew older, she got especially attached to her mother. 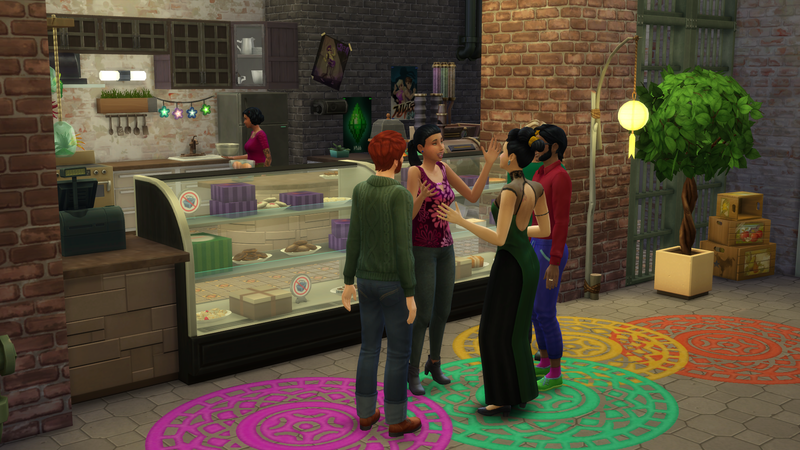 She loved spending time in her bakery and ask her mom advice about everything and nothing. 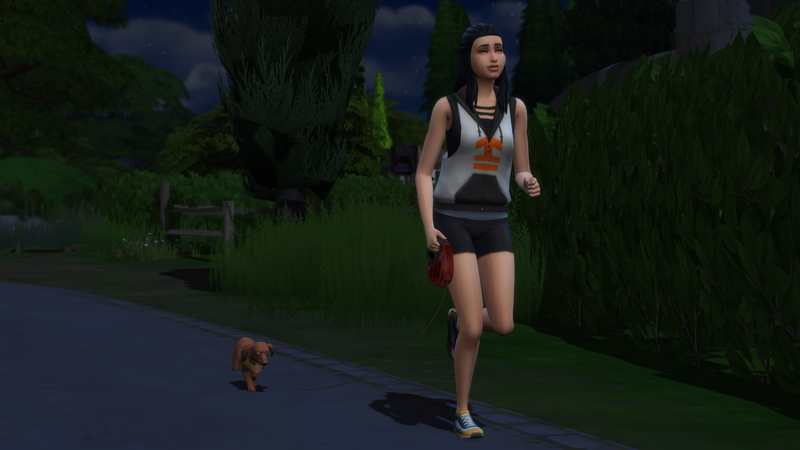 As a teen she immediately started running after boys. Her current boyfriend is called Isak and lives next door to them. 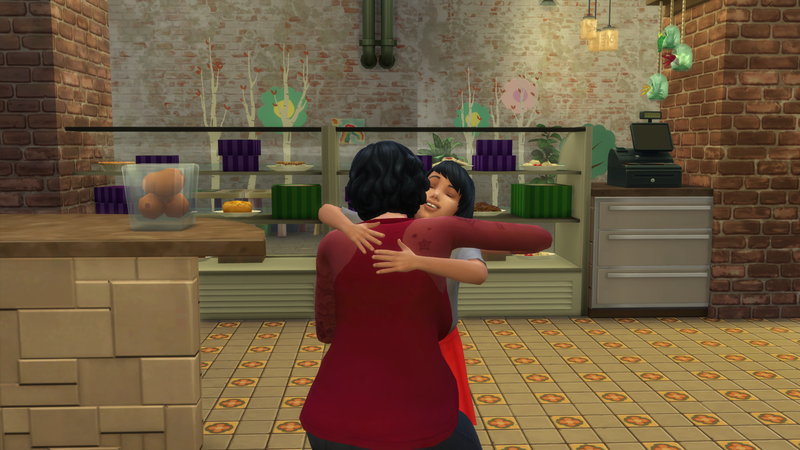 She still enjoys helping her mom in the bakery, so much that she'd rather do that than school if her parents would let her. Her traits are foodie and romantic, and she has the Serial Romantic aspiration. When the twins were born, their two older sisters had very different reactions. 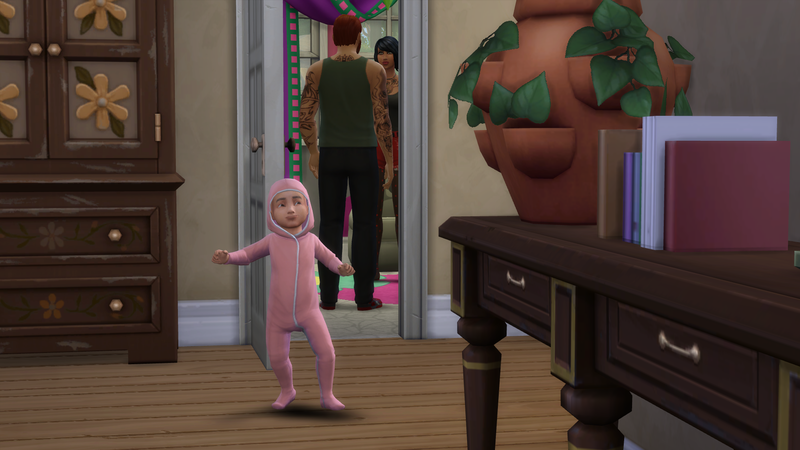 This was a chaotic time for the parents. 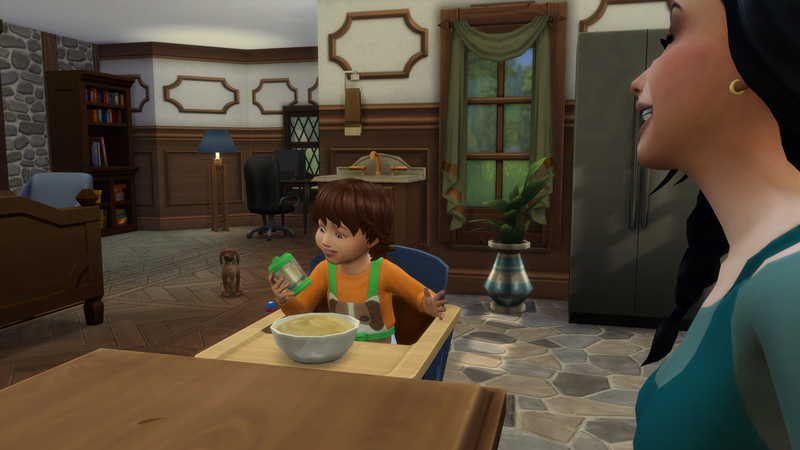 Three toddlers in the house! Tony and Gabriella grew into energetic and independent school children. They love playing together, but they also fight from time to time. 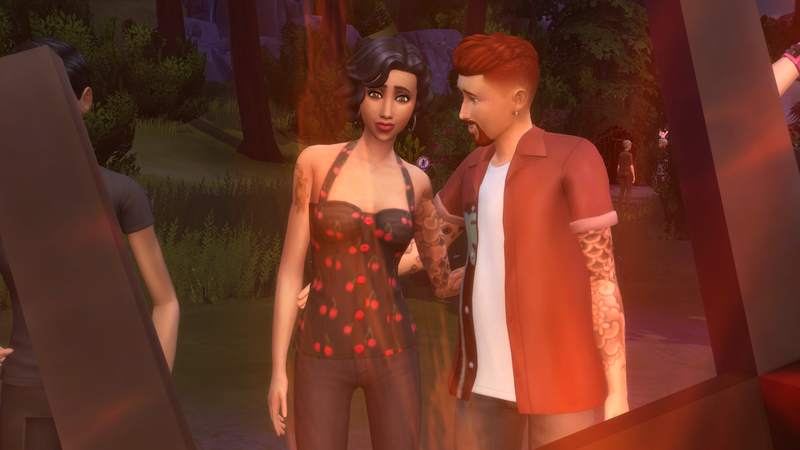 Gabriella is especially fierce and drives her parents crazy. 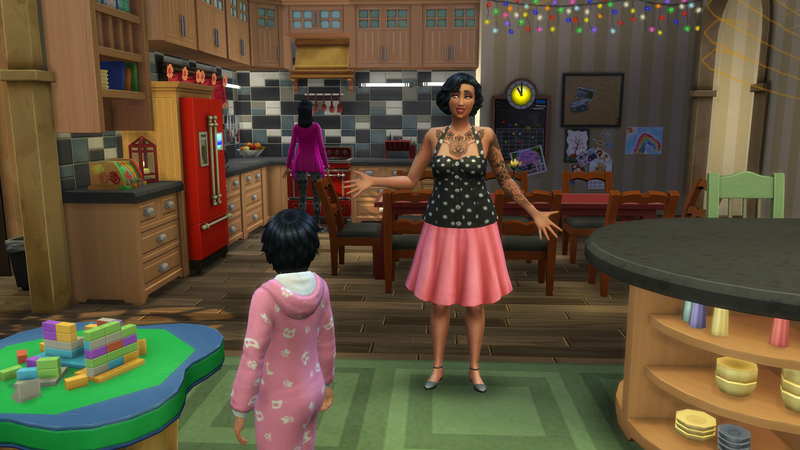 Everyone is wondering what she will be like as a teenager, and the twins' birthday is right around the corner! 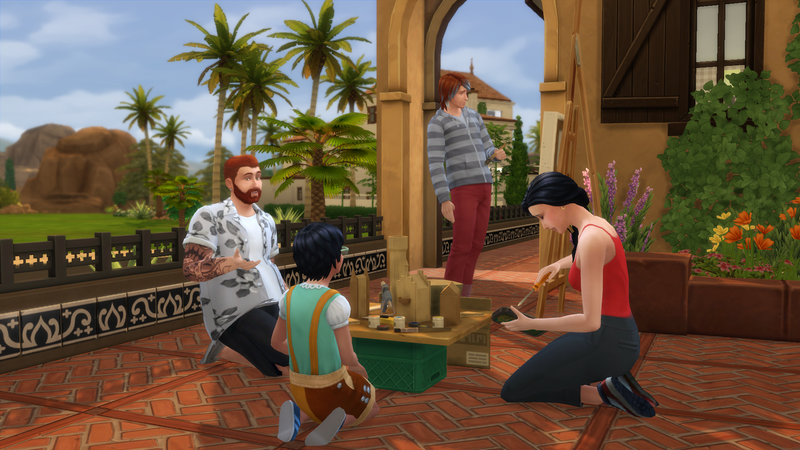 Tony's trait is perfectionist, and his childhood aspiration is Artistic Prodigy. 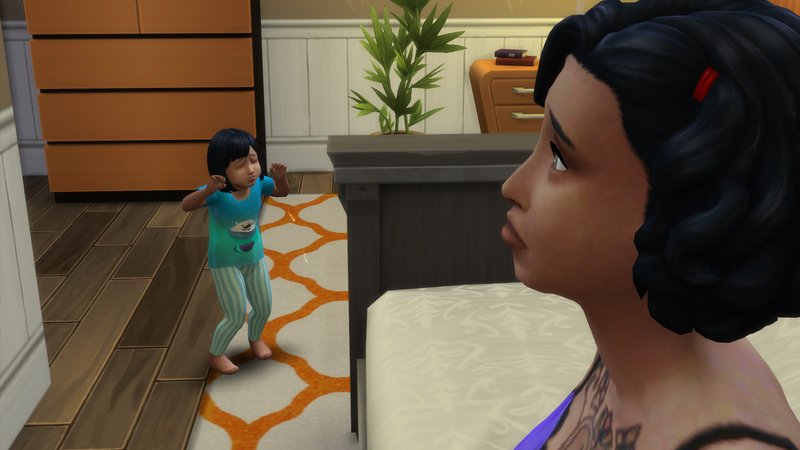 Gabriella's trait is goofball, and her aspiration is Rambunctious Scamp. This was the general look on Mariana's face towards the end of the twins' toddler stage. 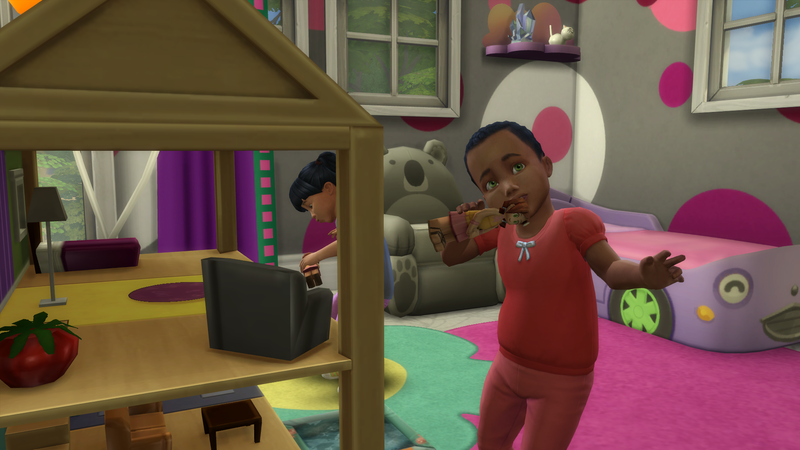 No more toddlers now, please. Just kidding! 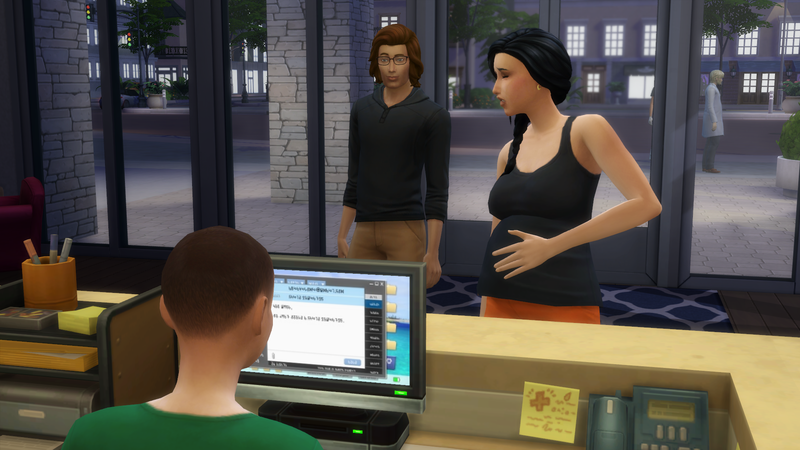 We're having another one! 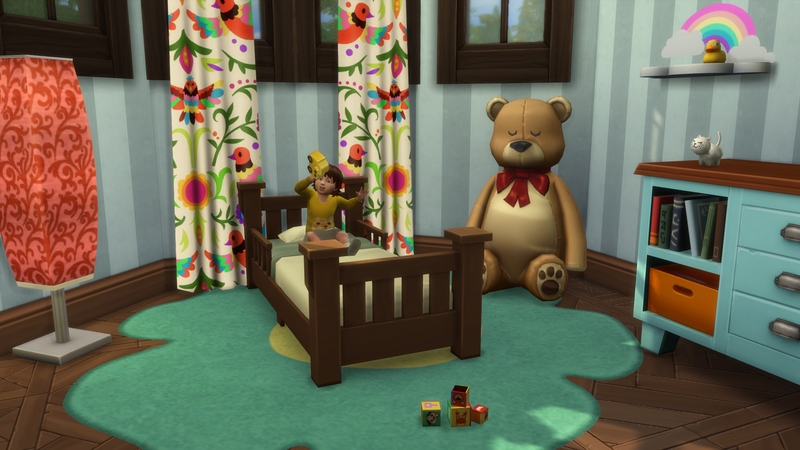 And so little Victoria arrived, and caused her parents sleep problems once again. But she soon turned into a cute and quirky school child who is entertaining the whole family with her silliness. 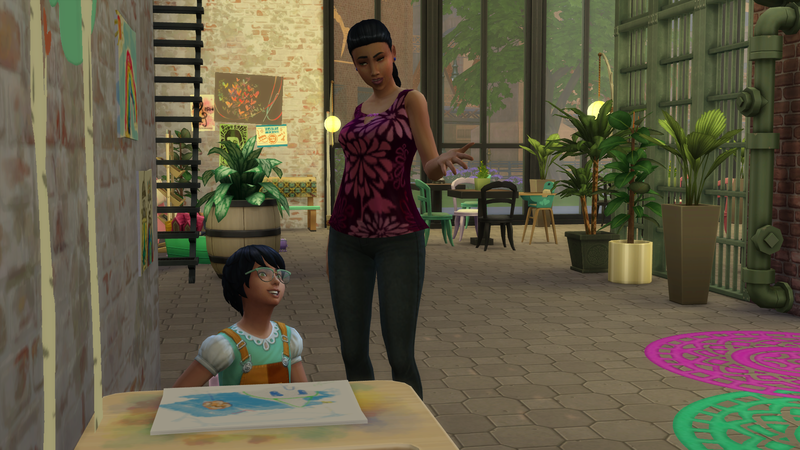 Victoria's trait is creative, and her childhood aspiration is Artistic Prodigy. 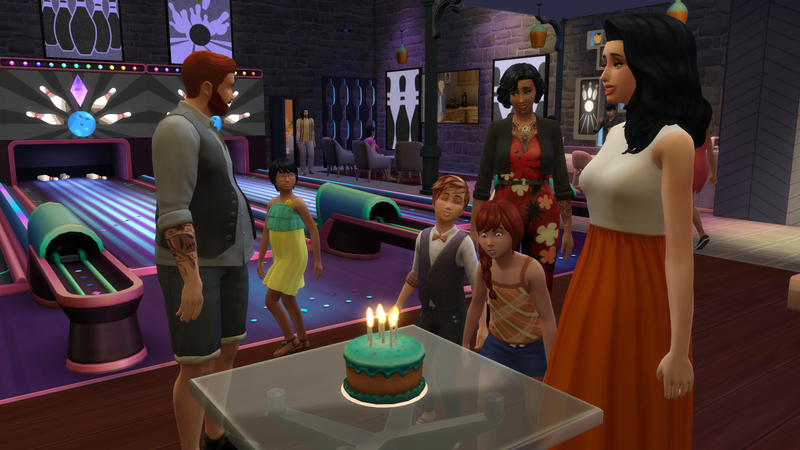 The family celebrated Ronja and the twins' birthday at their local bowling venue. 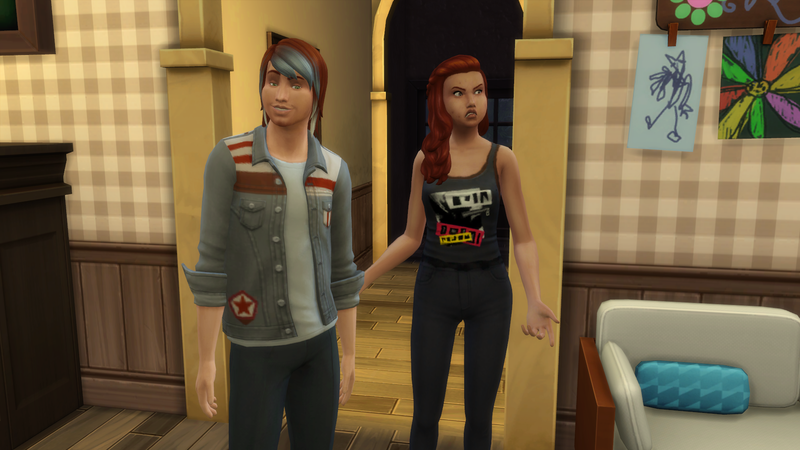 Ronja became a young adult, and the twins are finally teenagers! Here they are, exactly the same temper as when they were children. 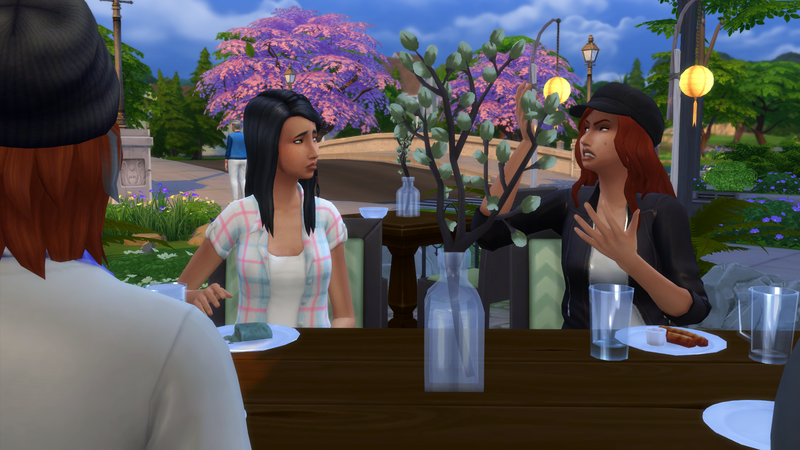 Tony is always cheerful, Gabriella always displeased with something. 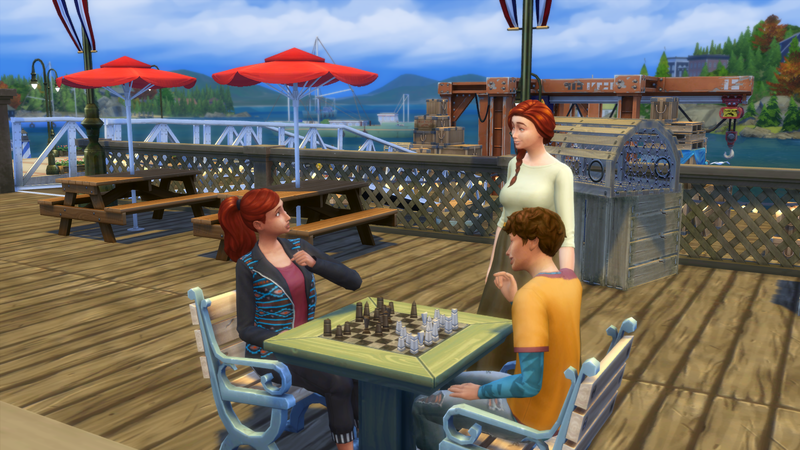 Ronja is now going to move to Windenburg with her boyfriend Nile. 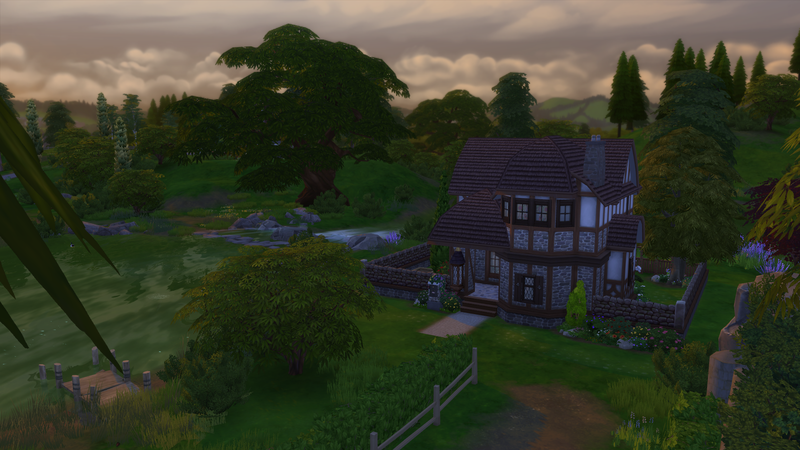 They are buying a small house in the countryside, which will be perfect for them to start their own little family. We'll see more of them soon! 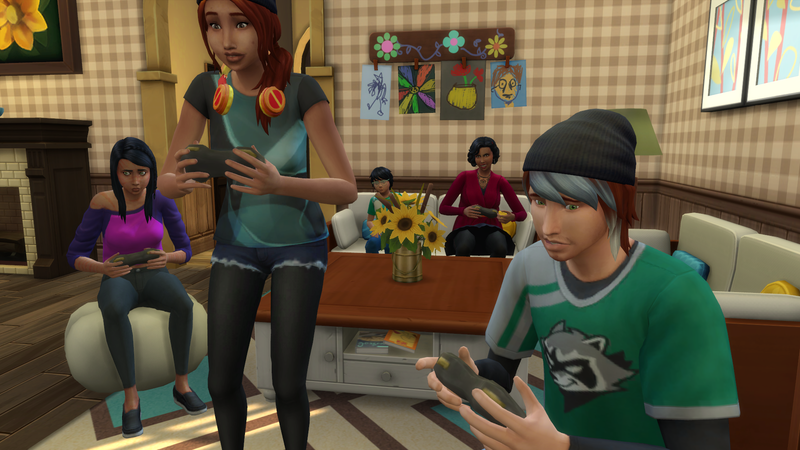 So the majority of remaining siblings are teens, and a popular activity is video gaming in the living room. Even mom joins in! 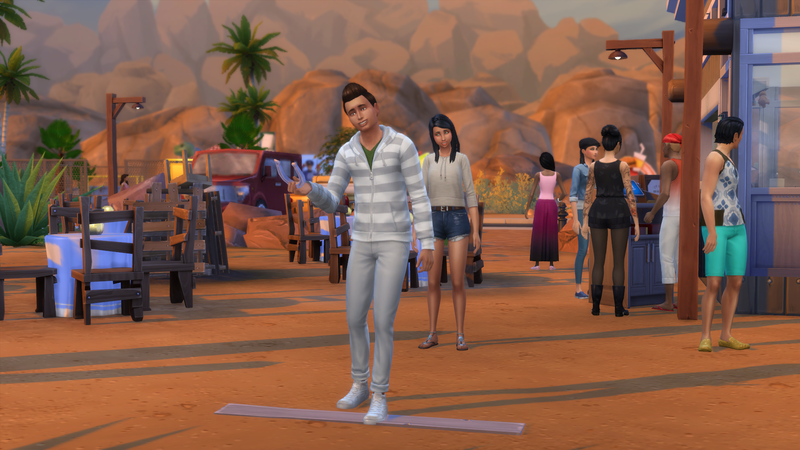 It's Saturday morning in Oasis Springs, and Vetle and Mariana are up early to get some peace and quiet before all the moody teenagers wake up. 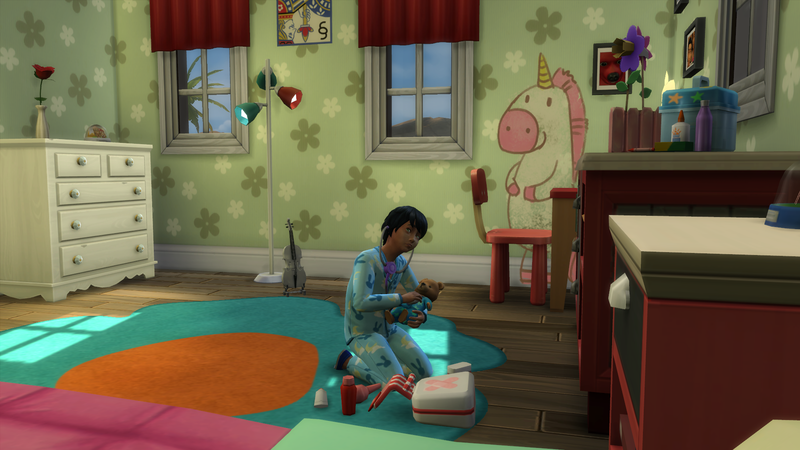 Victoria is also awake, but she loves spending weekend mornings in her room playing doctor until she gets called down to breakfast. 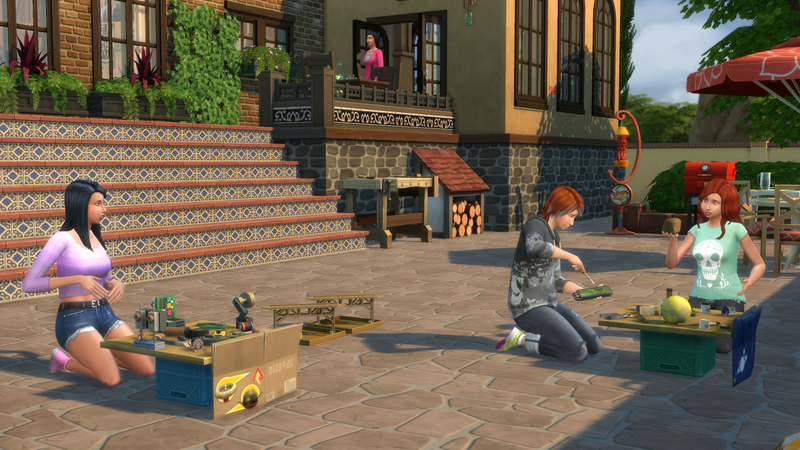 Once everyone has had some breakfast, they start working on their school projects in the back yard. 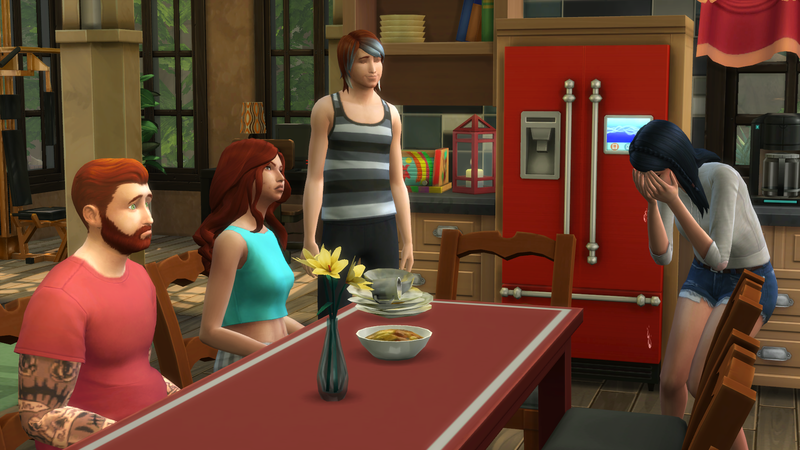 The parents join in to help, but it doesn't take long before Gabriella and Tony get into one of their usual arguments. 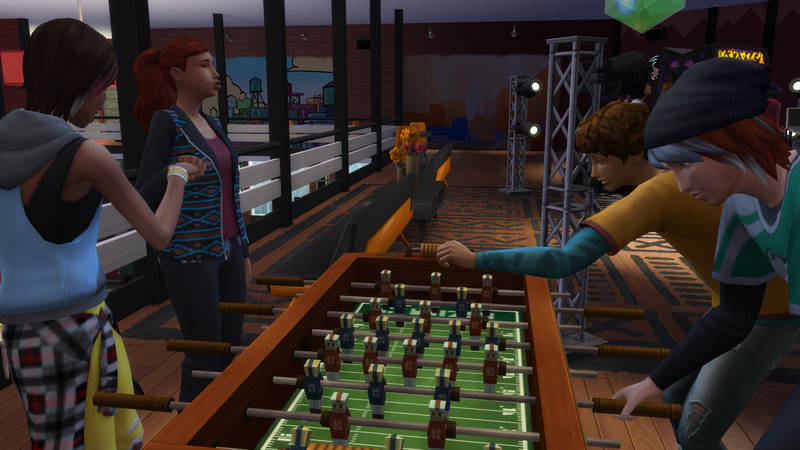 The twins grow tired of the work soon and go to play a game of chess instead, while Mariana, Vetle and Victoria all help Maria with her robotics project. The chess game isn't going so well either. 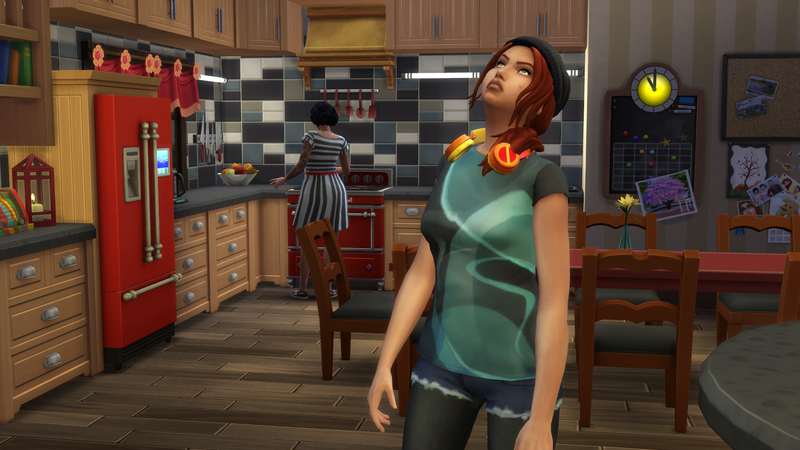 The twins don't seem to be able to get along today. 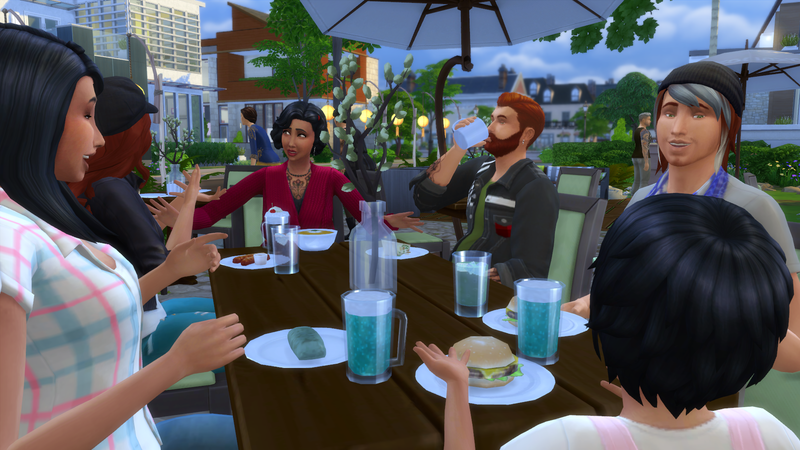 For dinner later, they all go out to eat at the outdoor bistro in Willow Creek. 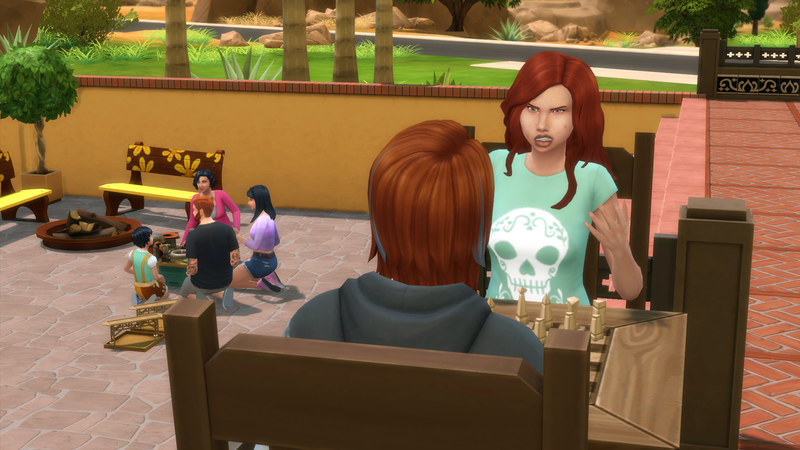 Gabriella is still grumpy as heck, and she has one of her usual rows with Maria. The two sisters have never liked each other very much. 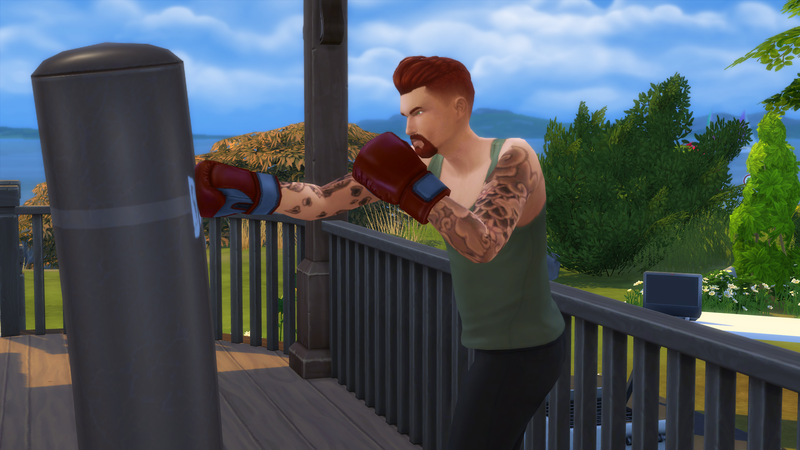 The twins fight sometimes because they're very close and just need to occasionally blow off some steam at each other. 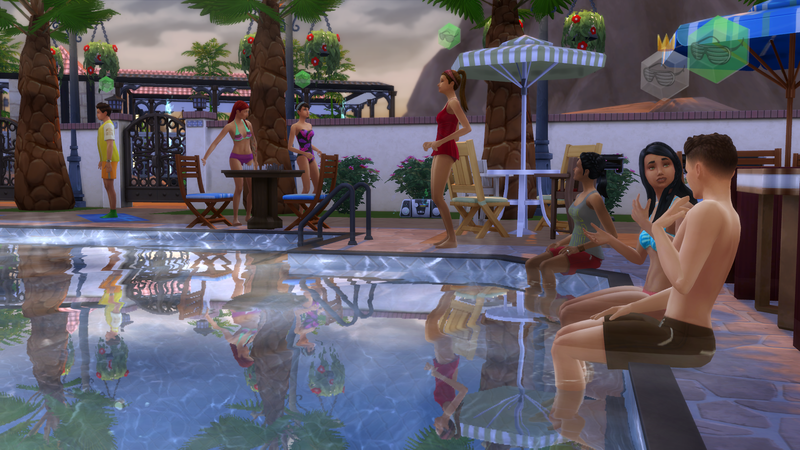 But Maria and Gabriella are true rivals. 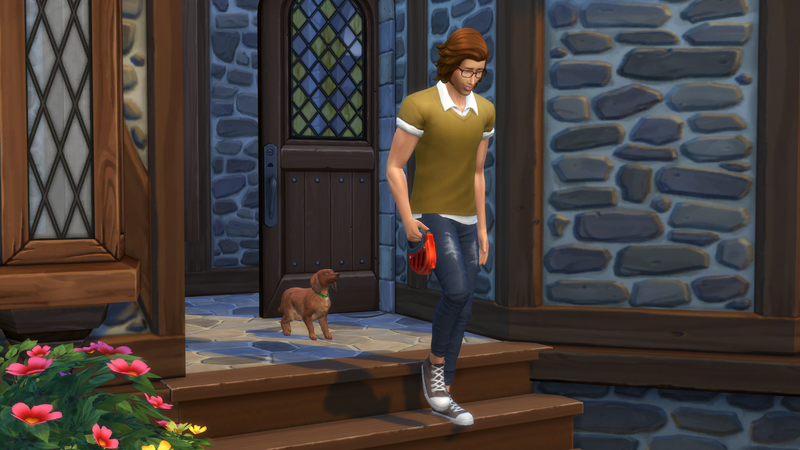 Later in the evening, Maria heads across the street to her friends Max' house house for a movie night with friends. But the movie doesn't interest her, and she feels really bored. 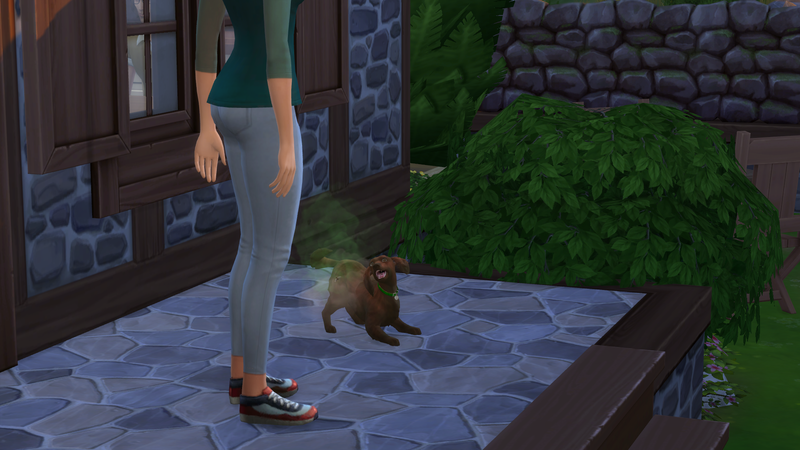 She sneaks out to go on the computer upstairs instead, and on her way she meets Max' brother, Chris. 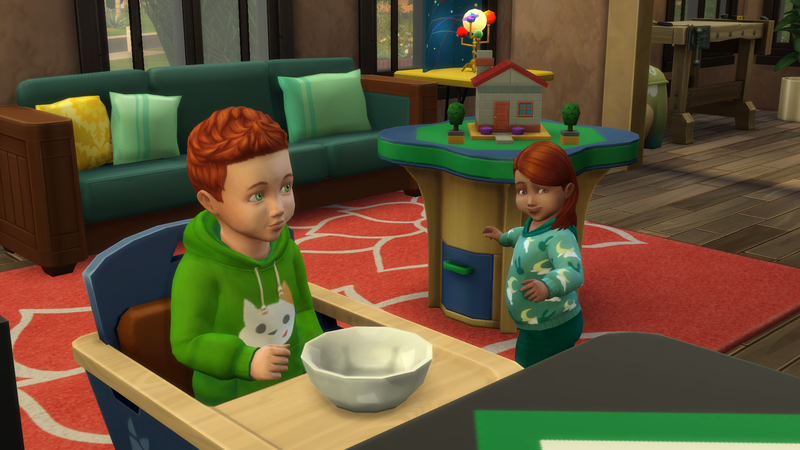 He's a bit younger than her and she mostly remembers him as a little boy, but wow, he's grown a lot lately! And he's handsome too. ... it doesn't seem to work. 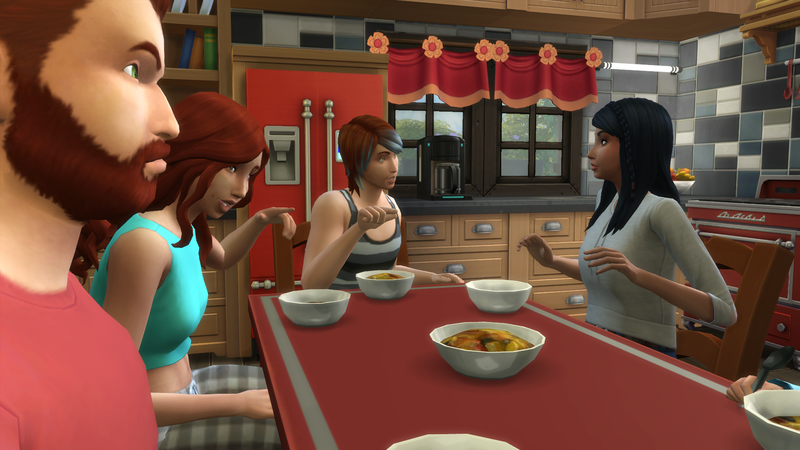 The next morning, Maria gets up early to make a Sunday breakfast for everyone. 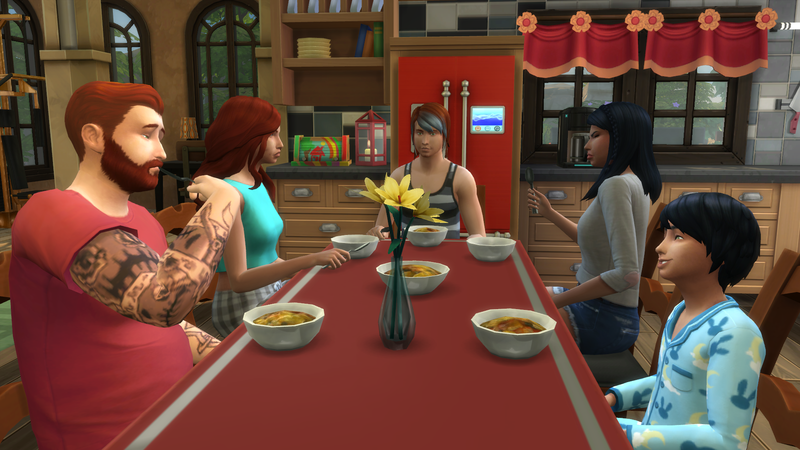 But the fruit salad doesn't turn out as fancy as she imagined, and honestly it doesn't taste very good either. 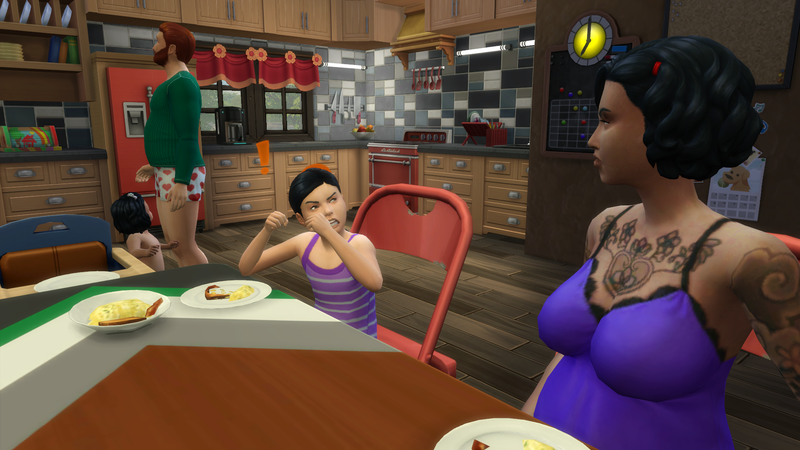 Her siblings start teasing her for being a bad cook. Well good job everyone, now you made your sister cry. 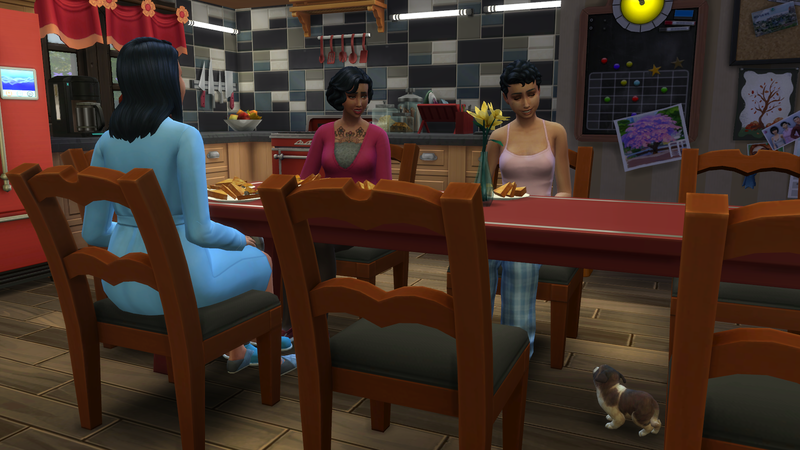 Mariana comes into the kitchen just as everyone else is leaving, and she's able to comfort her daughter right away. 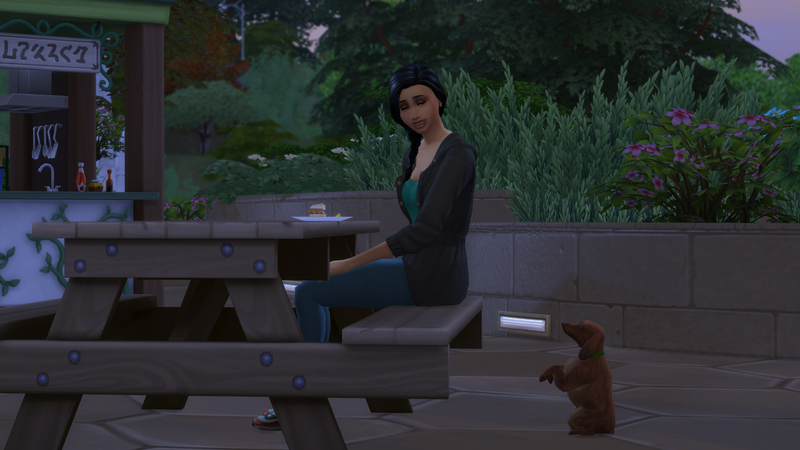 Maria got Chris' phone number yesterday, and now she's spending the day at the park with him. As friends of course, she's got a boyfriend after all. But Chris is so great! She can't deny she's feeling some butterflies when she's near him. They have a great day together and are starting to get to know each other better. 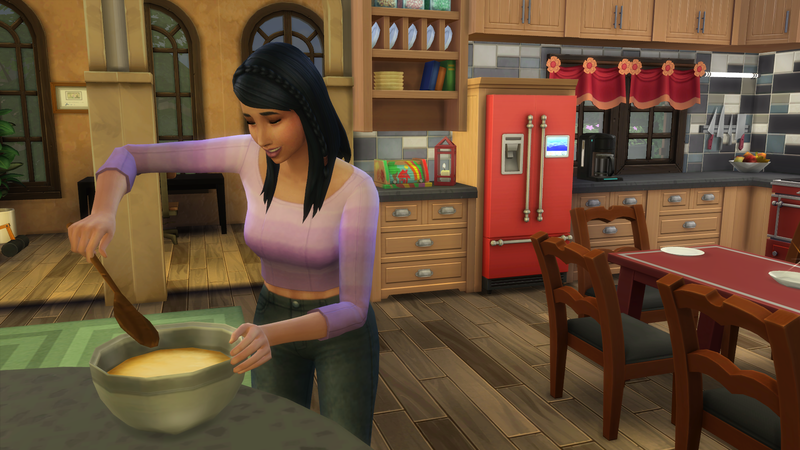 When Maria gets home, she spends the rest of the afternoon learning baking from her cook books. 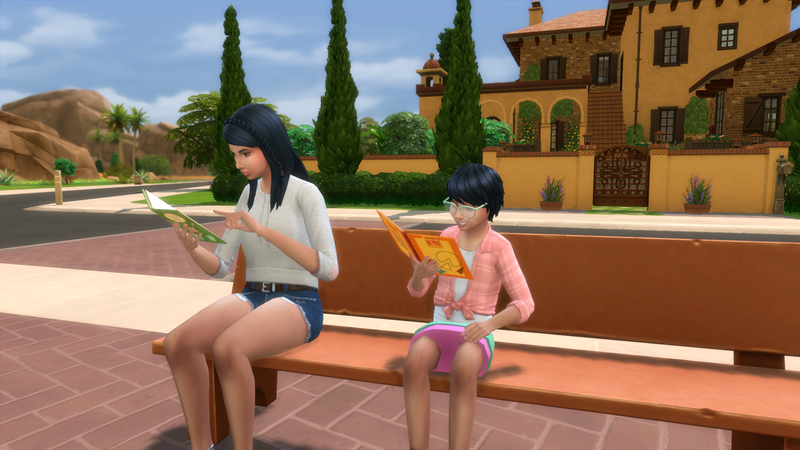 She's joined by Victoria and her homework on the bench across from their house. 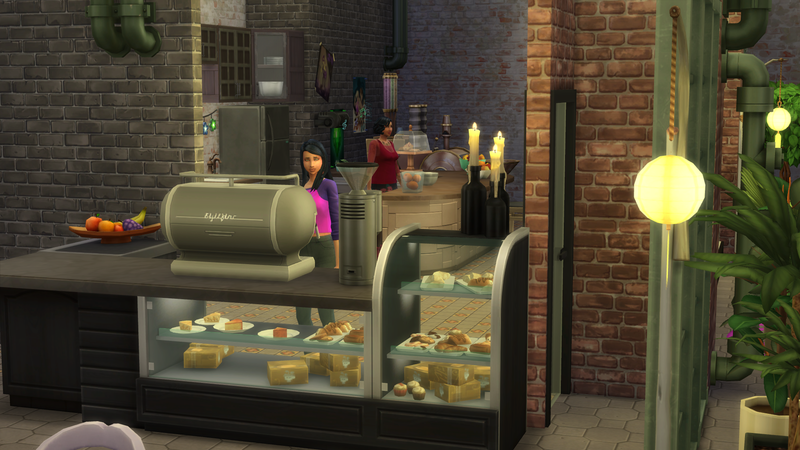 The next day after school, Maria comes by the bakery to help out for the last few hours. 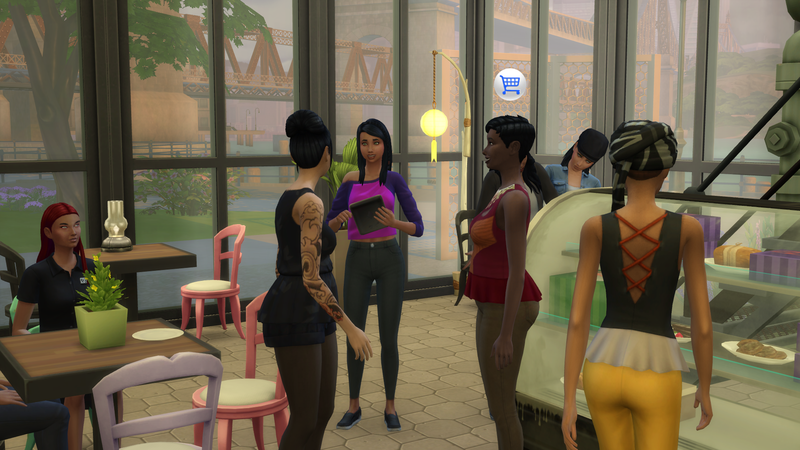 She's really doing a great job with the customers, and she loves being there. There's little doubt this is what she'll want to do when she grows up. Big sister Ronja is visiting! 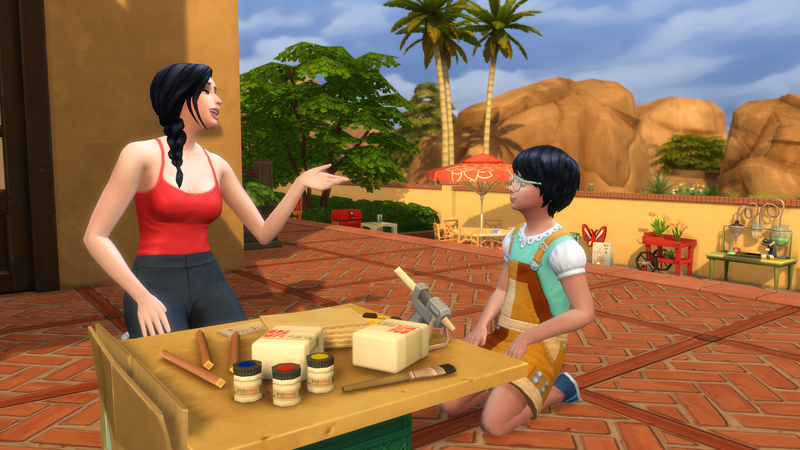 Victoria is very happy to get some school project help from her oldest sister who she looks up to. 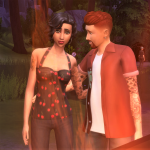 Ronja and her boyfriend Nile live in Windenburg now, in a small cottage style house by the stream. Ronja has started working in sports, and Nile is a police officer. 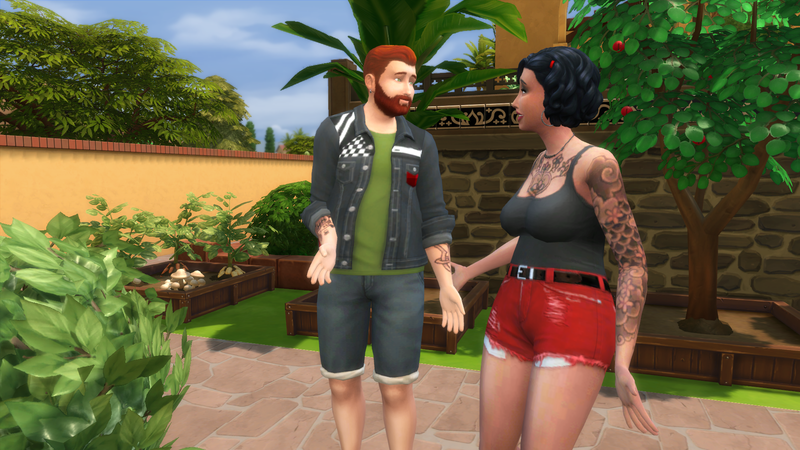 It's perfect for them, they both love being outdoors and want to start their own family quickly. And don't you know it! 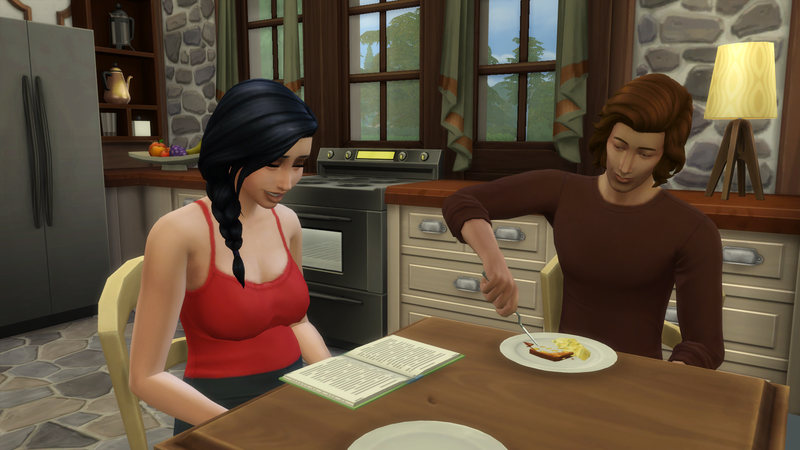 Ronja is already pregnant, and they are both super excited and preparing by reading parenting books. 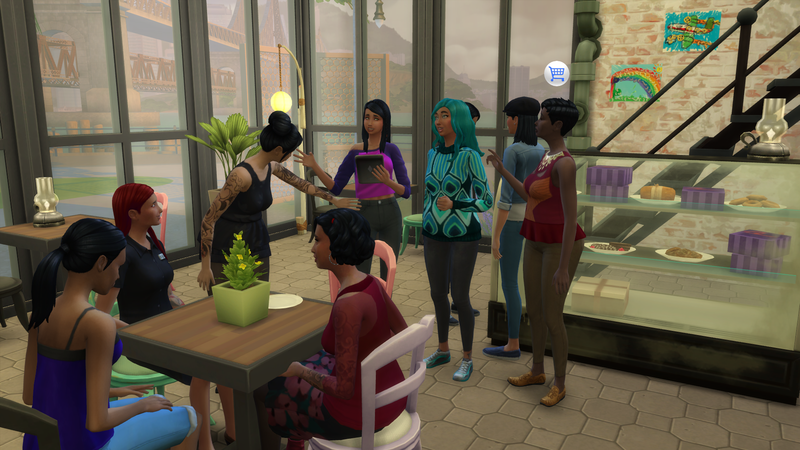 She can't wait to tell her family back in Oasis Springs, so she calls up her mom and arranges to meet her in a café. 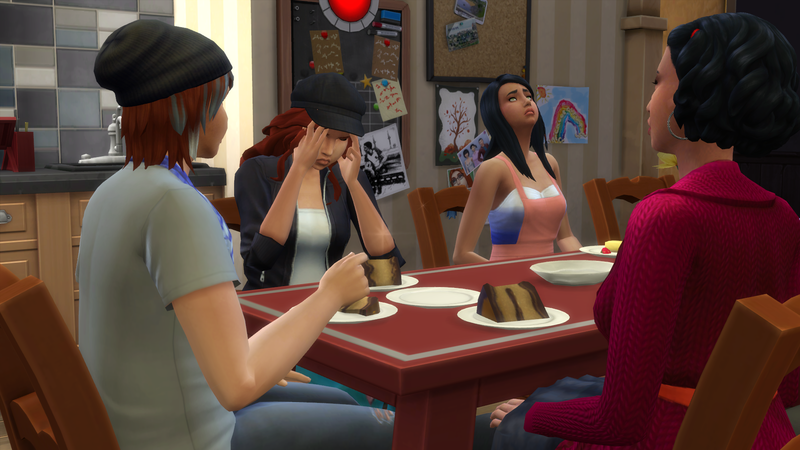 Mariana is beyond thrilled about the big news. 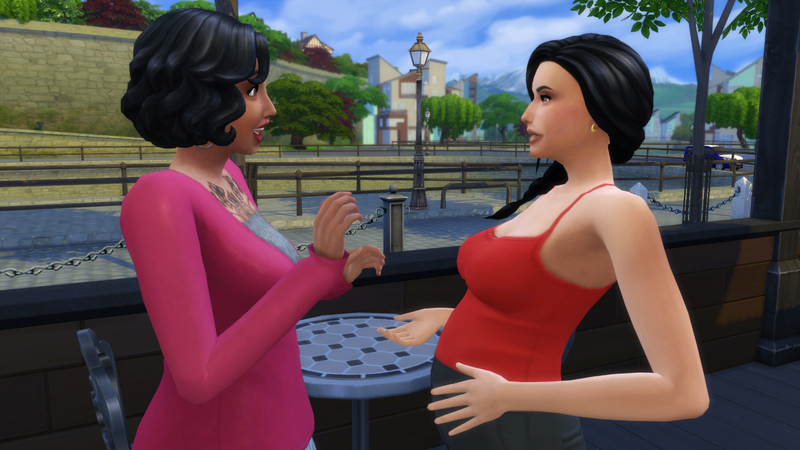 She's going to be a grandmother! She can't wait! 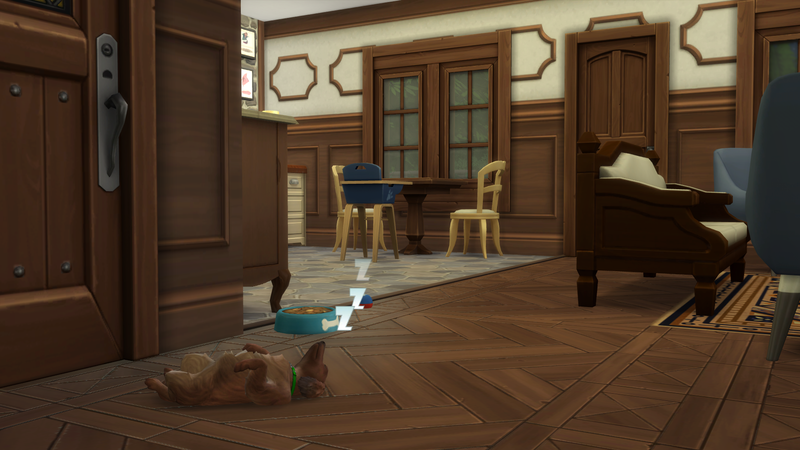 Pregnancy is hard on the energy levels, so Ronja is taking a lot of naps towards the end of her pregnancy. And then suddenly, it's time! 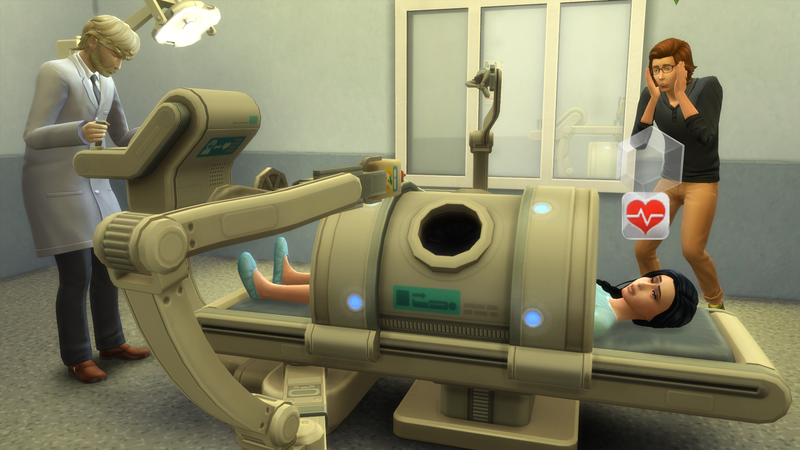 Nile is freaking out during the whole birth, but everything is going fine. And a little girl is born! Her name is Lena Justøy. Welcome to the world! It doesn't take long before the whole family is over to welcome the newborn. 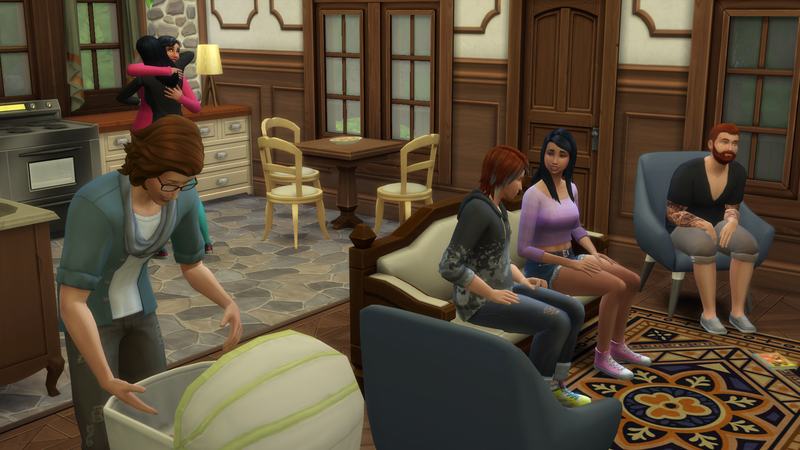 Their living room is crowded with family all afternoon. Nile is having trouble concentrating at work the next few days. He just wants to be at home with his little beauty! 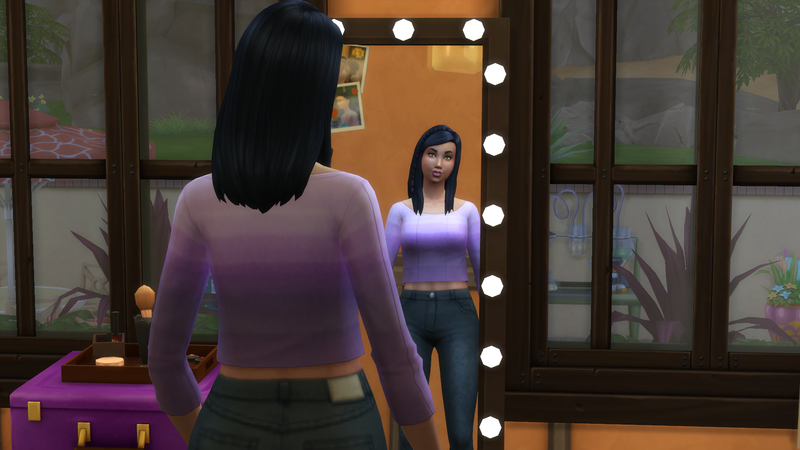 Maria is also closing in on the young adult life stage now, and has become a lot more independent lately. 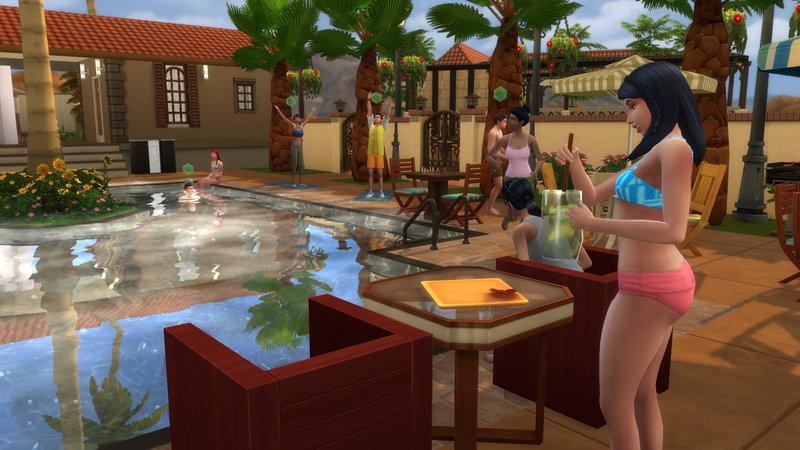 She loves hanging out with her friends and throw parties and gatherings at various areas. 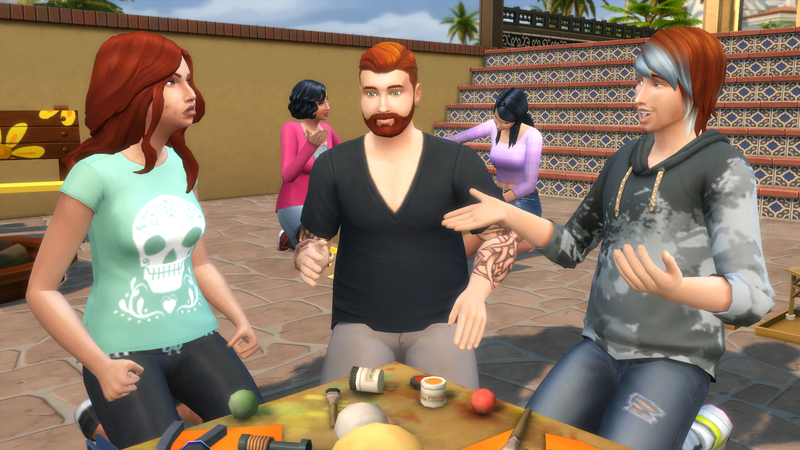 And of course, flirt with the guys. Gabriella on the other hand, is as grumpy as ever - if not more. 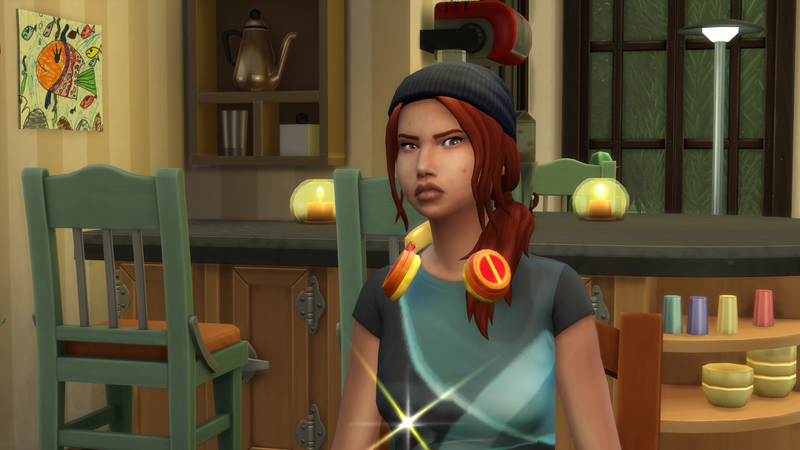 Every day she's coming home from school in such a bad mood, spreading her negativity to the rest of the family. But both she and Tony have good friends who they hang out with whenever they can. 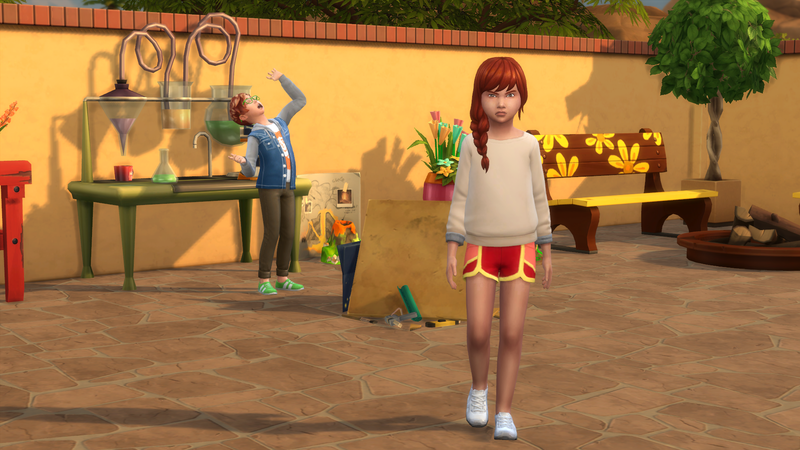 A short time later, Maria is finally an adult - she's so ready for it! This means she can do whatever she wants, and have more influence in the bakery. 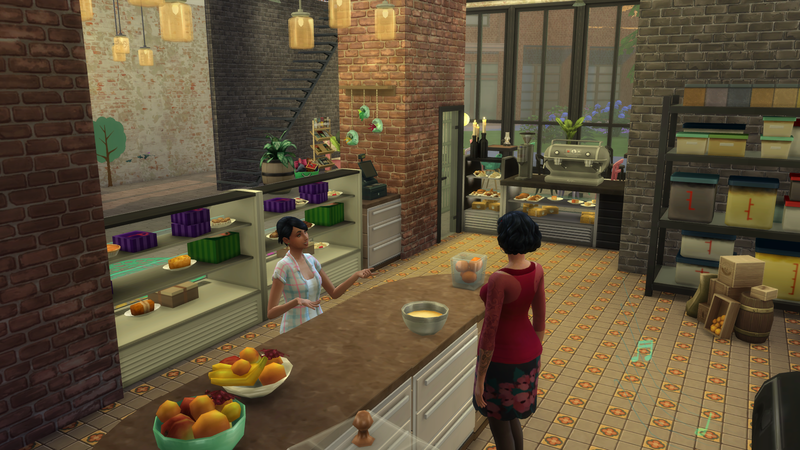 She doesn't want to get a regular job, she spends her days working on her baking skill or serving customers in the store. 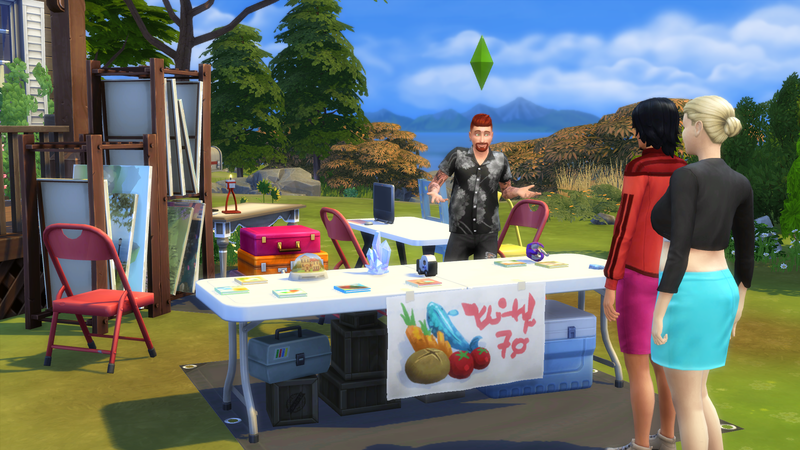 Now that Maria is helping out every day, they can sell a lot more. 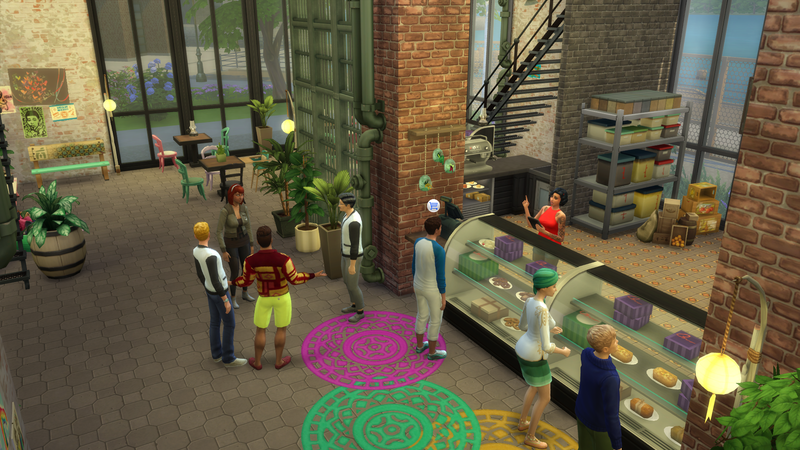 Their current goal is to make enough money to give the bakery a makeover. 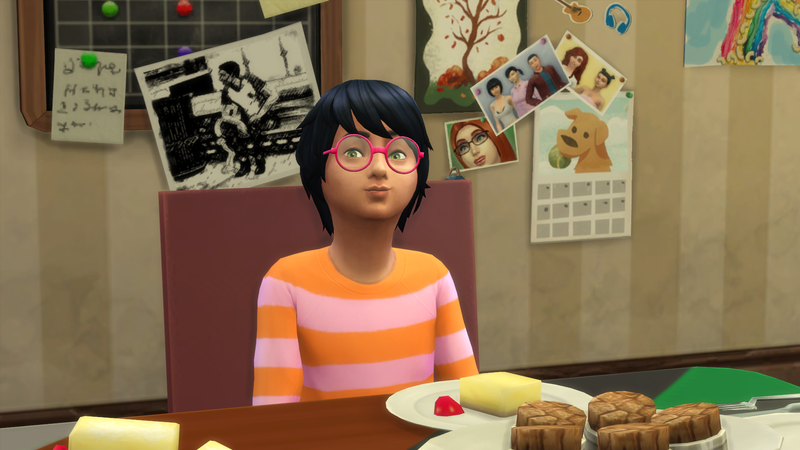 Victoria likes hanging out in the bakery after school, but only to draw pictures for the walls. 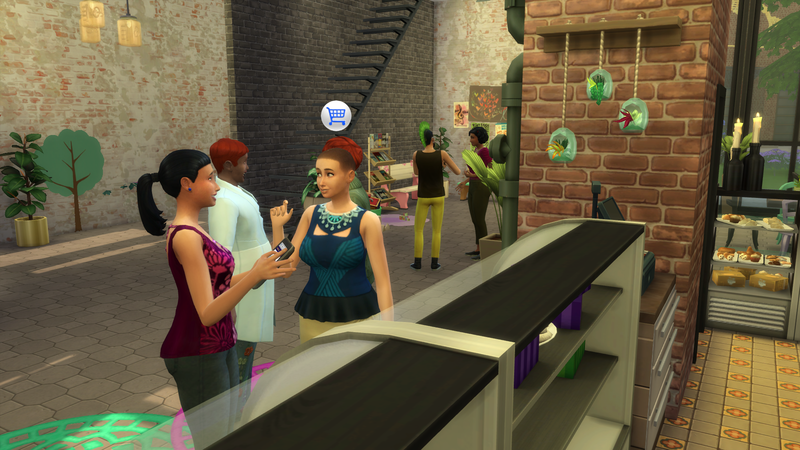 Maria is encouraging her to make some nice decorations that can charm the customers. Victoria is generally a very artistic child. 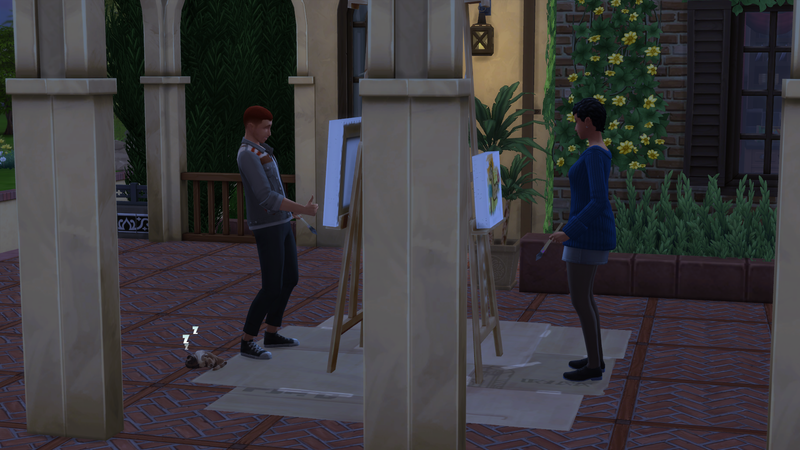 She loves going to the art center in Oasis Springs to play the instruments that are there. 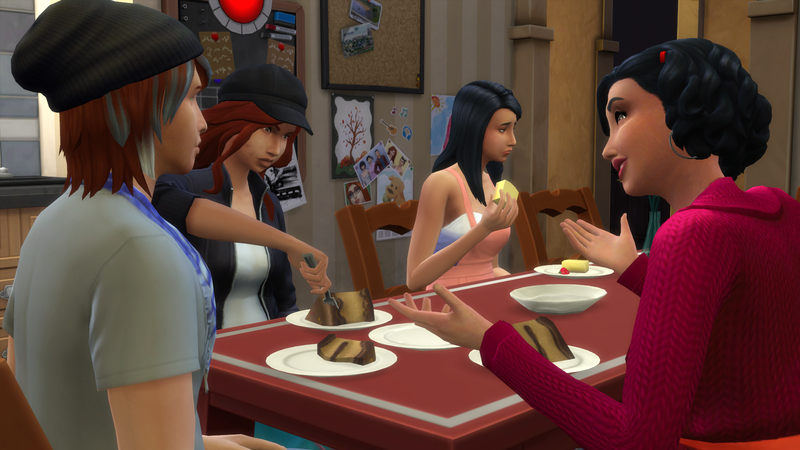 Time flies by, and it's time for Victoria to become a teenager. The kids grow up so fast! 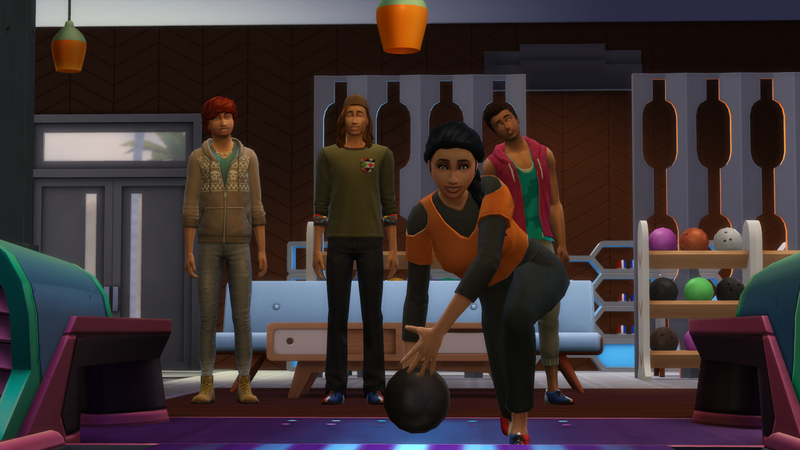 Mariana congratulate her in the morning and says that they will have a party for her at the bowling alley. 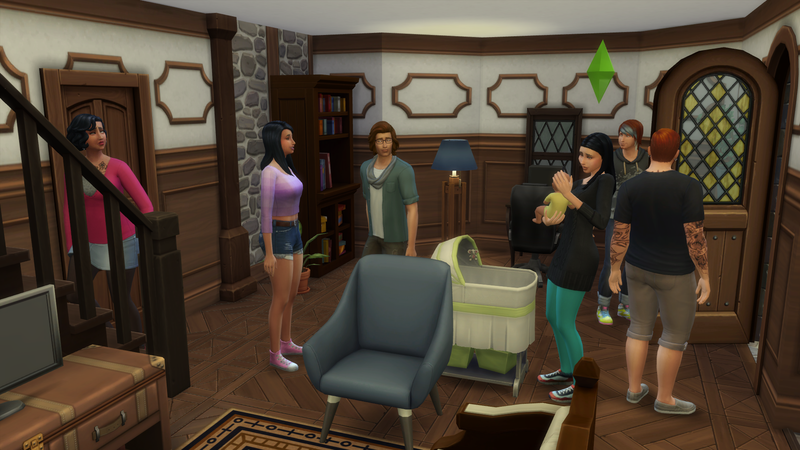 The party is a success, and their fifth and final child is now a teen. Like all the others, she has a unique combination of her parents' genes. None of the children look quite the same! To celebrate all their children getting so grown up, the parents go ahead and adopt a dog. Meet Elvis the Sain Bernhard puppy! 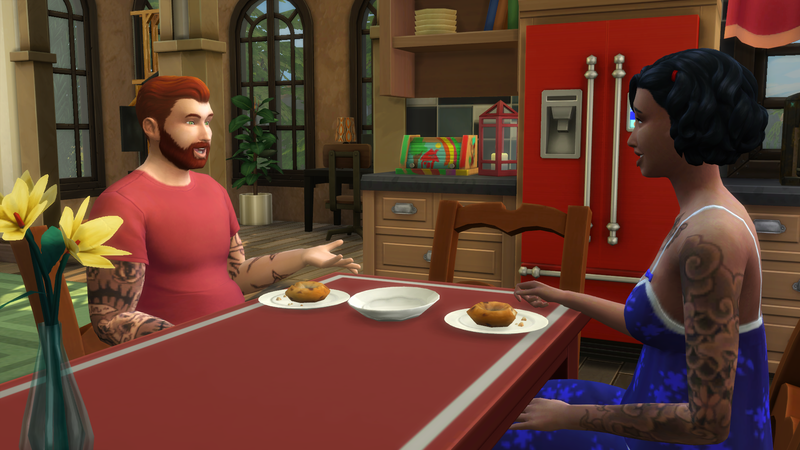 He is very loving and likes everyone in the family, but he seems to have a special connection with Tony. Always following him around and choosing to sleep close to him. 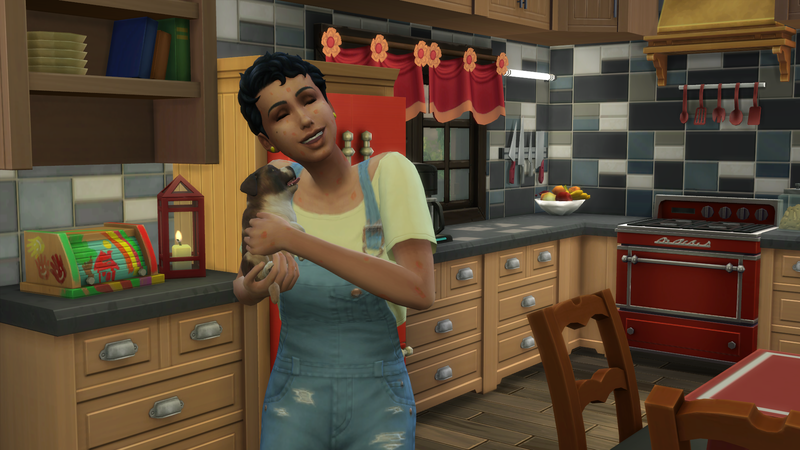 As more time passes and the family enjoys their life with the new furry member, they all notice Gabriella is growing more cheerful. It's like she finally realizes she has no reason to be angry all the time. She spends more time outside and sticks to her close friends. 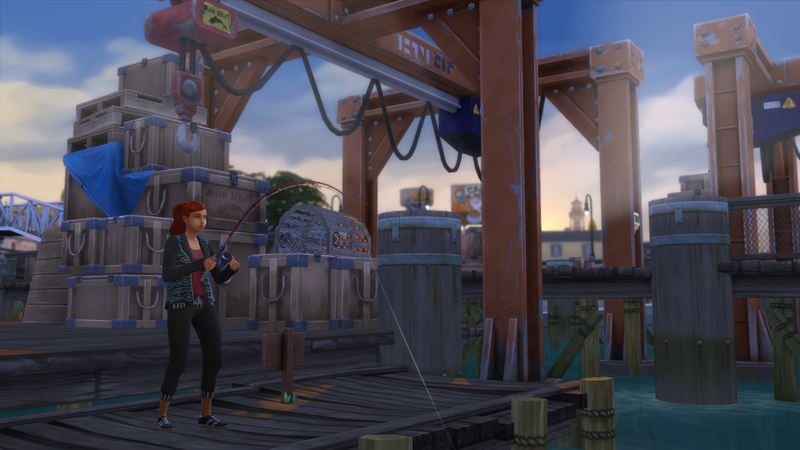 She loves the harbor area in Brindleton Bay, where she can fish and connect with the stray cats. She really loves cats and would desperately like to adopt one. 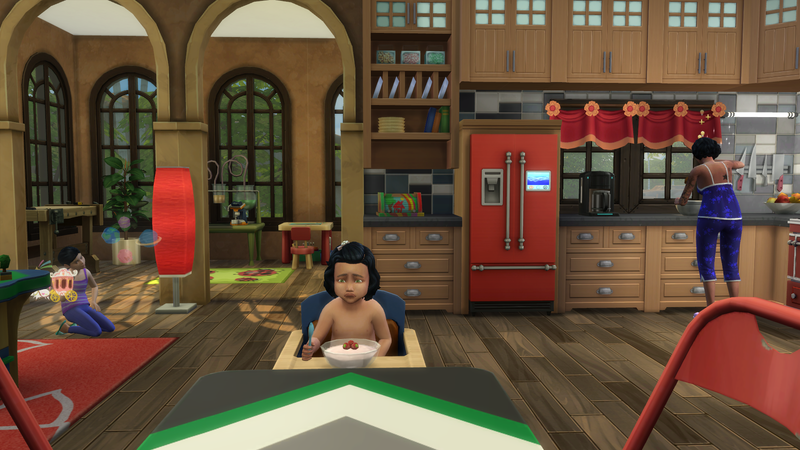 Over in Windenburg, Ronja's daughter Lena has become a toddler. She has brown hair like her dad and is seriously cute. But what's that on the floor behind her? 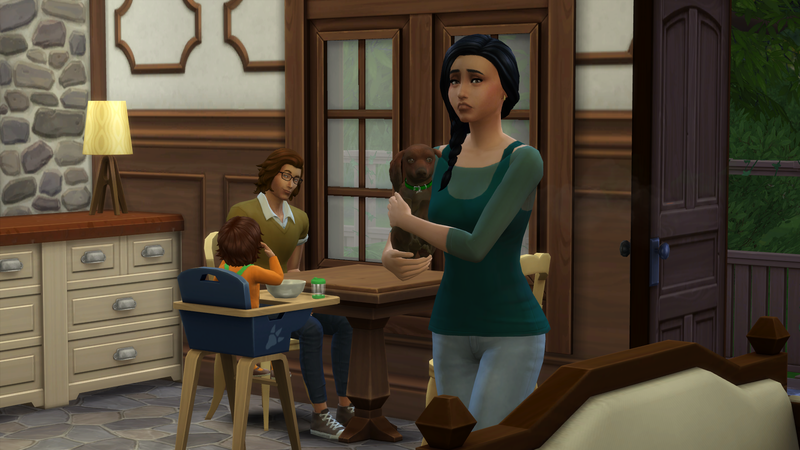 Yes, the little family has got a dog! A little dachshund named Timian. She loves to hunt and go on long walks. She also loves to fight squirrels and skunks in the bushes, which means she has to get bathed quite often. Ronja is not the biggest fan of that. Timian was so dirty Ronja had to give herself a bath too after dealing with it. 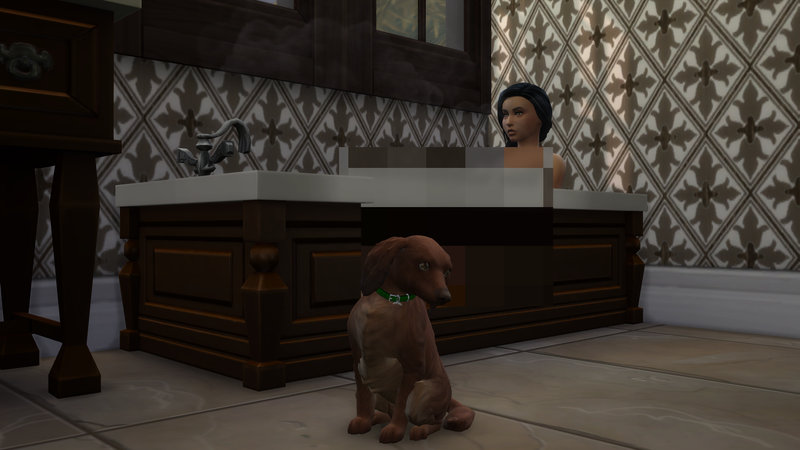 Ronja is taking the day off to bring Timian to a checkup at the vet clinic in Brindleton Bay. 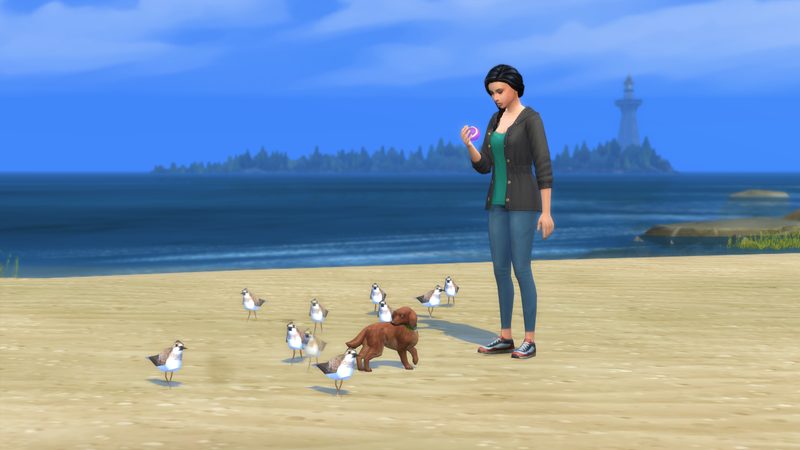 But first, some quality time at the beach. 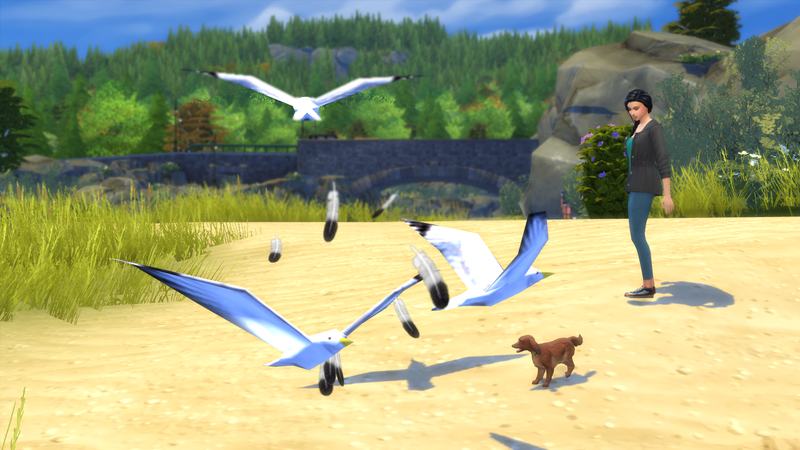 The first thing Timian does when unleashed, is chasing a flock of seagulls. Then it's time to play some fetch. Timian immediately knows how to do it. 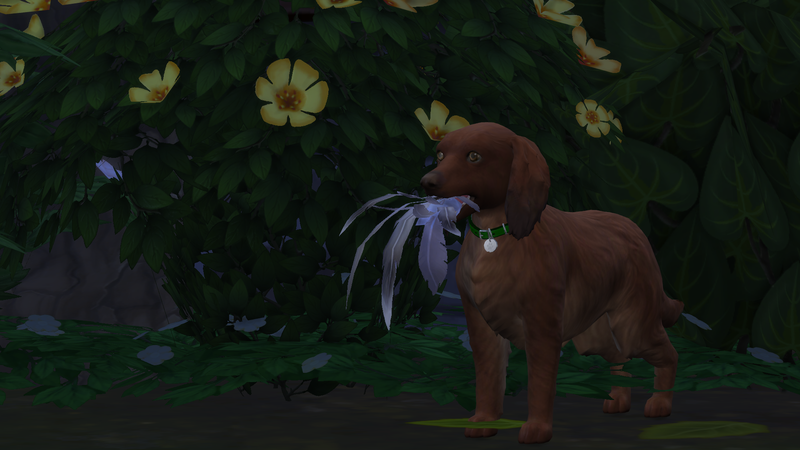 That is, until she gets distracted by some birds again. 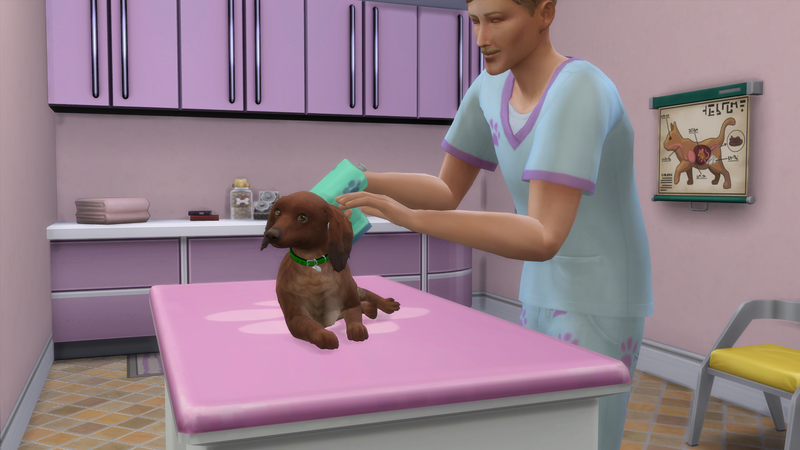 Then it's time to check in at the vet clinic. Timian is getting a couple of vaccines. Ronja decides to stay in the area a little longer to get a bite to eat. Timian is really interested in her food, but Ronja has decided not to allow that. 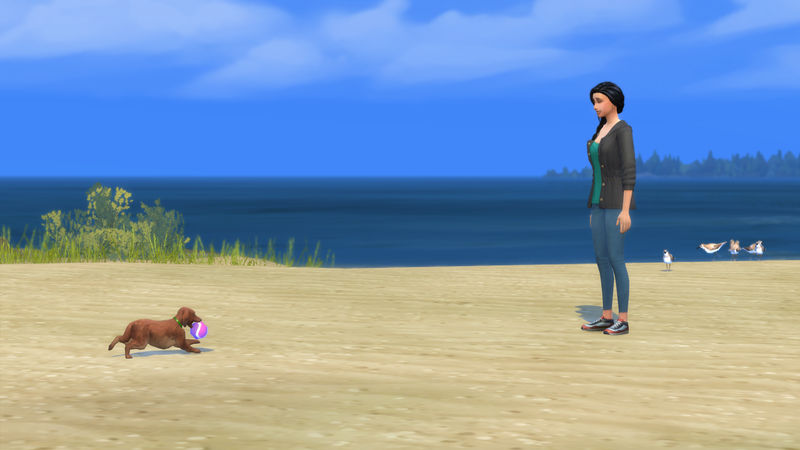 She wants to train her dog to be perfectly well behaved. When they finally get home, the dachshund is so exhausted she immediately falls asleep right inside by the door. But she's up for another jog in the evening. And some bird fighting after her owners have gone to bed, of course.